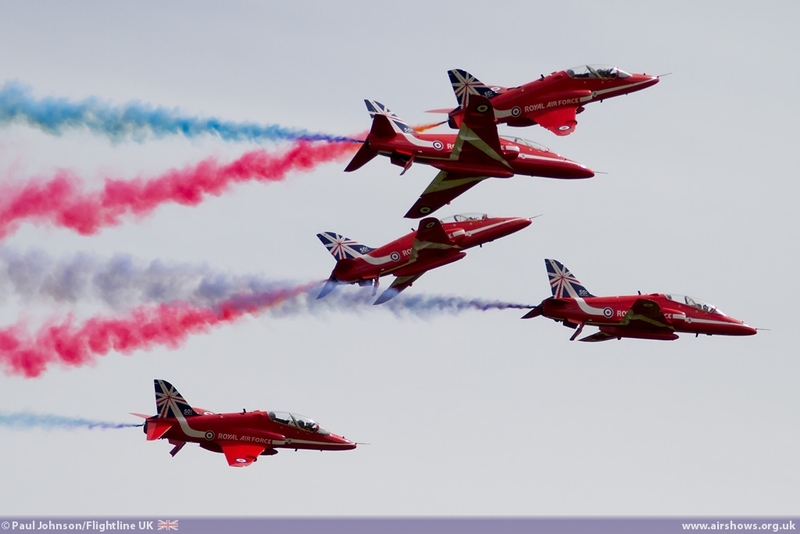 2014 sees just two official Royal Air Force airshows, the first of which is the RAF Cosford Air Show in Shropshire. 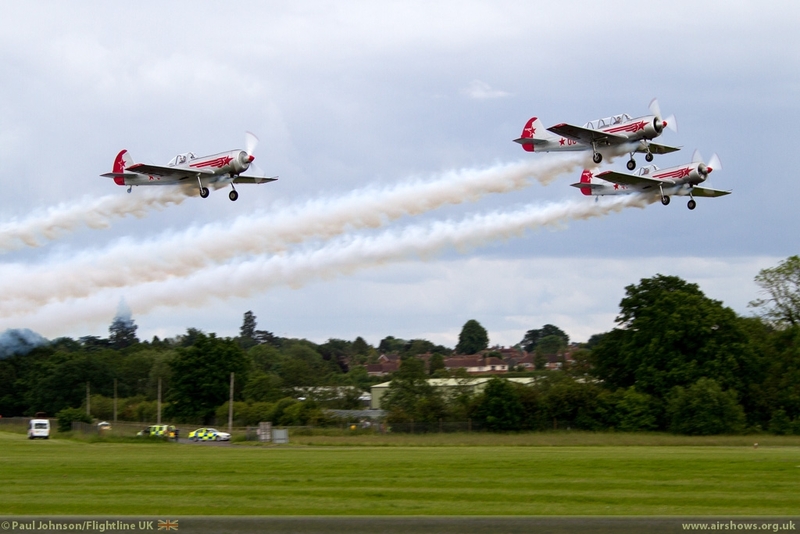 Cosford is one of the West Midlands biggest public events and this year attracted a crowd of 55,000 spectators. 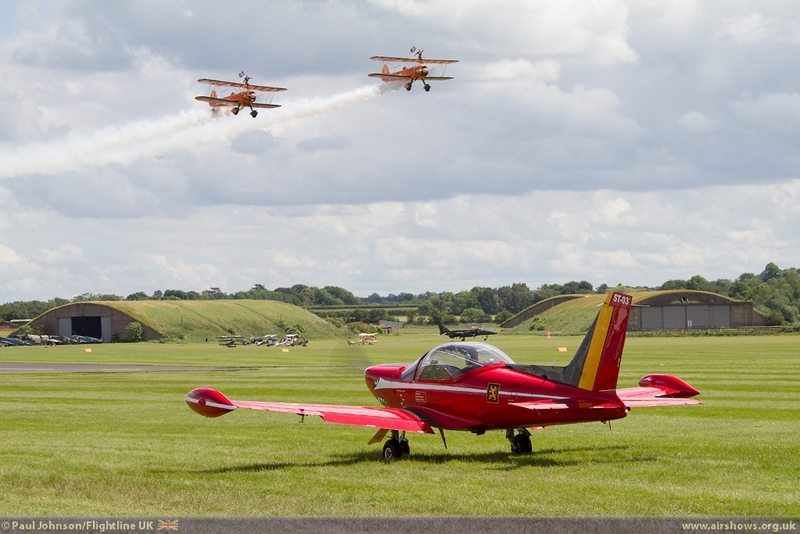 The flying and static displays primarily focus on the UK armed forces, but the show always features a wide range of historic and civilian acts too. 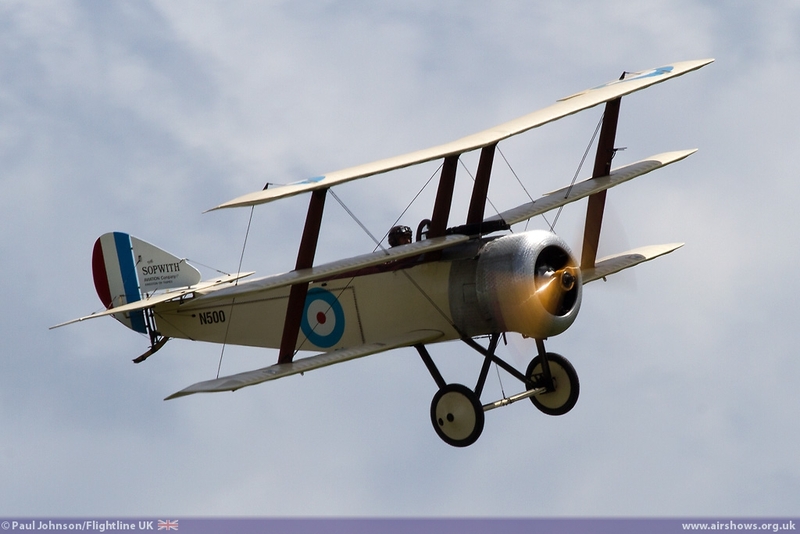 As always the show marked several themes which this year included RAF Photographic Reconnaissance, the Centenary of the outbreak of World War One and 50 Years since the Hawker Kestrel FGA1's first flight. 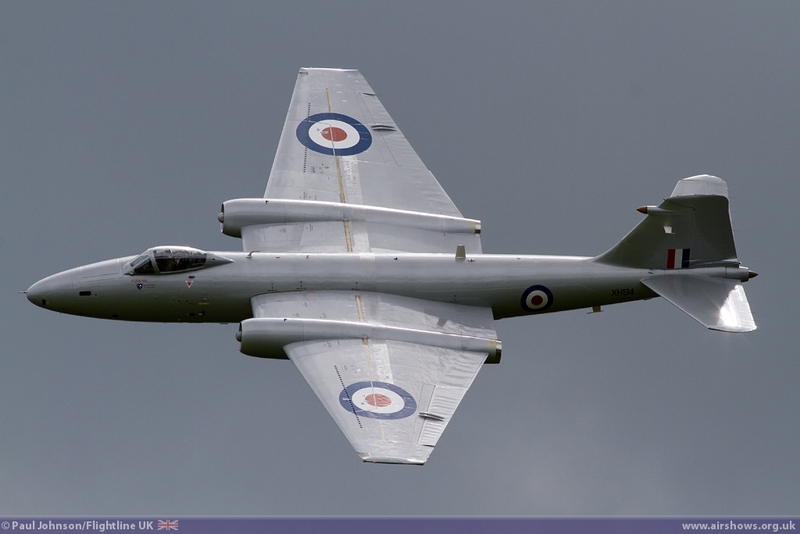 RAF Cosford is an interesting station within the Royal Air Force. Its airfield has seen little development and retains much of its original infrastructure and buildings. 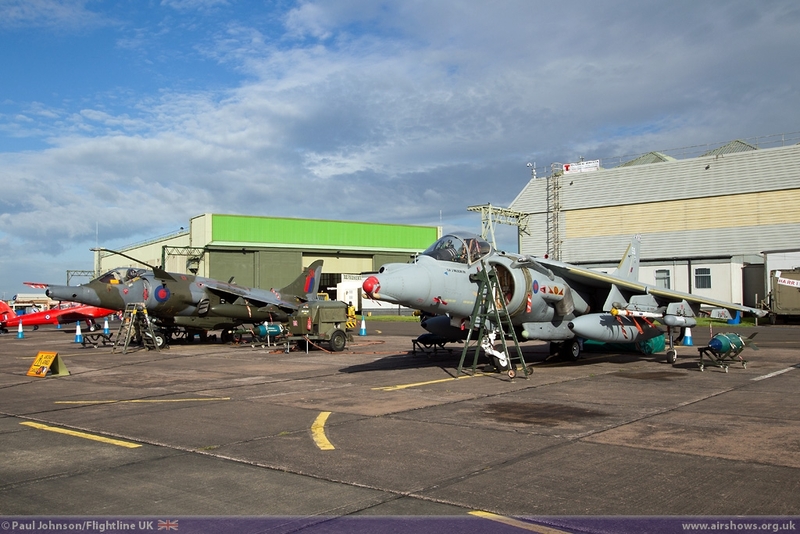 Much of Cosford's current work is training, and the Hangars and main camp are home to several different defence schools ranging from Technical Training, Engineering and Photography. 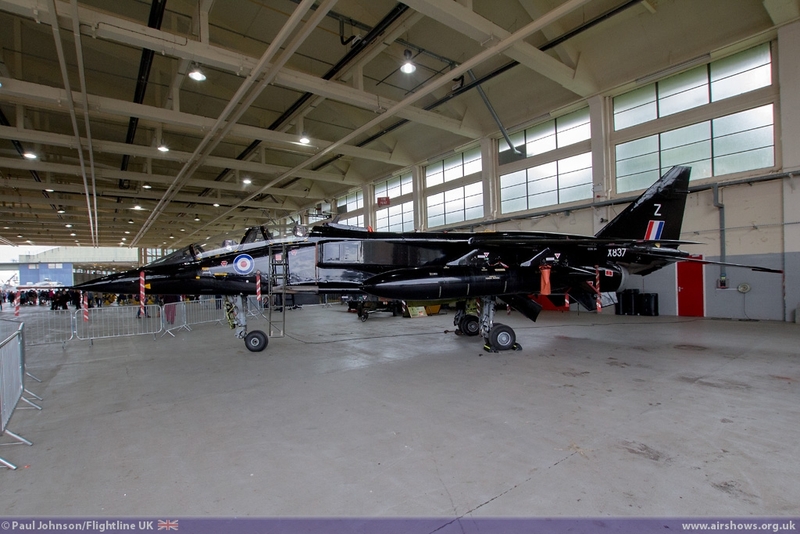 Many of Cosford's various trades and schools were on display in the main hangars that overlook the airfield. 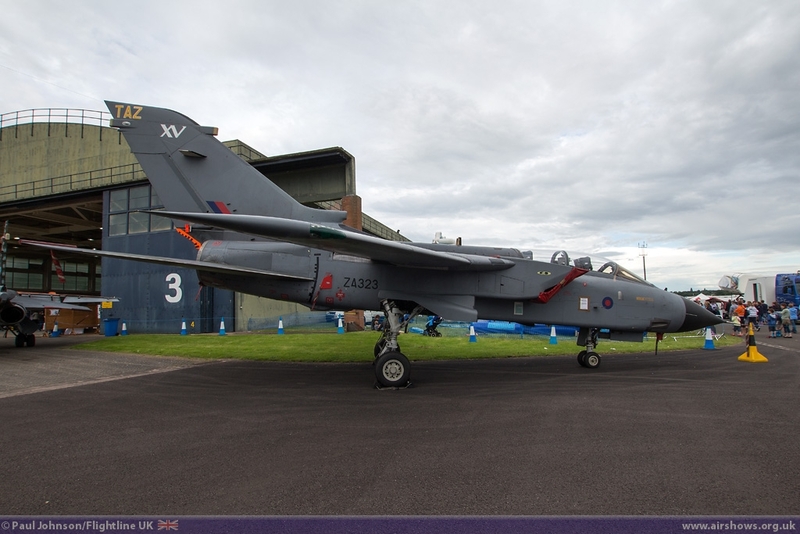 The airfield is home to many non-flying RAF aircraft retained for training duties and many of the exhibits involved the SEPECAT Jaguars that have found a new home at Cosford. 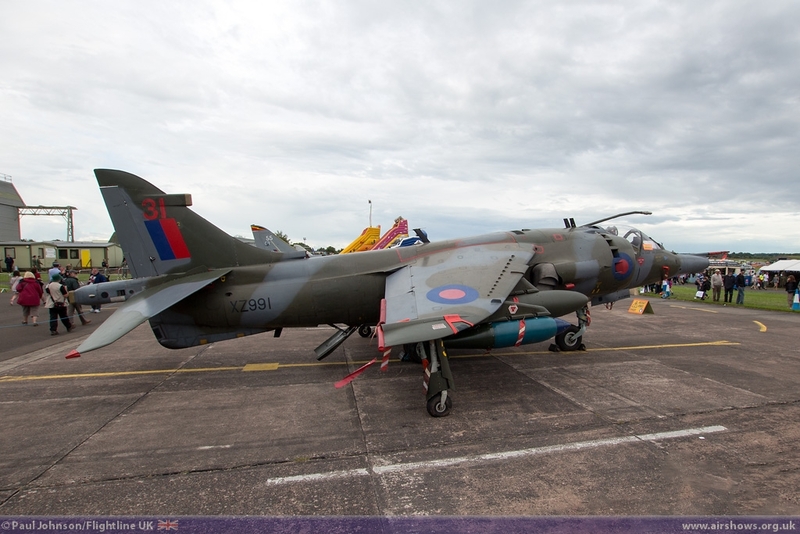 Also linked into the Hangar exhibitions was the STEM exhibition (Science, Technology, Engineering and Mathematics) supported by the RAF and associated industry and promoted at the show by Carol Vorderman. Aircraft wise, there were a number of static display aircraft including Panavia Tornado GR1s (one of which was fitted with a RAPTOR pod to highlight the Photographic Reconnaissance theme), more SEPECAT Jaguars plus some more current RAF hardware including a Beechcraft King Air B200, Airbus Helicopters Squirrel HT1 and Bell Griffin HT1 from RAF Shawbury. 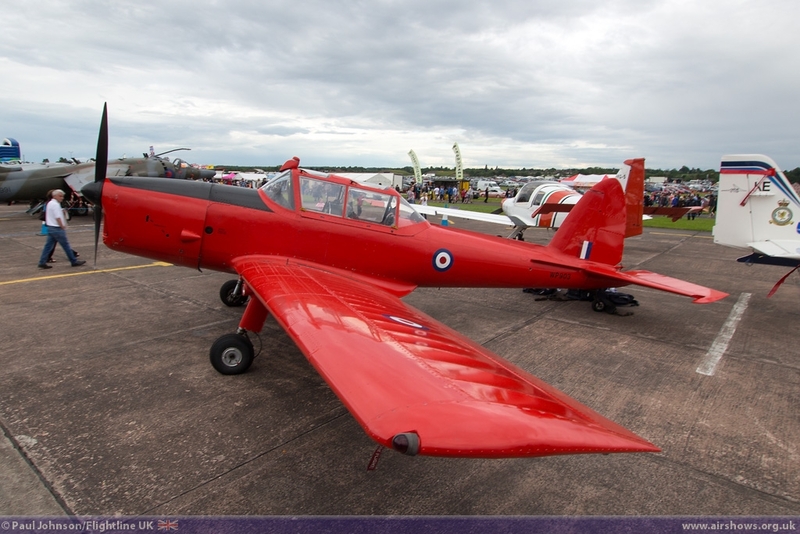 There were also historic aircraft on show such as the Taylorcraft Auster AOP6 complete with surrounding D-Day scenario, de Havilland Chipmunk T10 in Royal colours, SA Bulldog and BAC Jet Provost T3A. 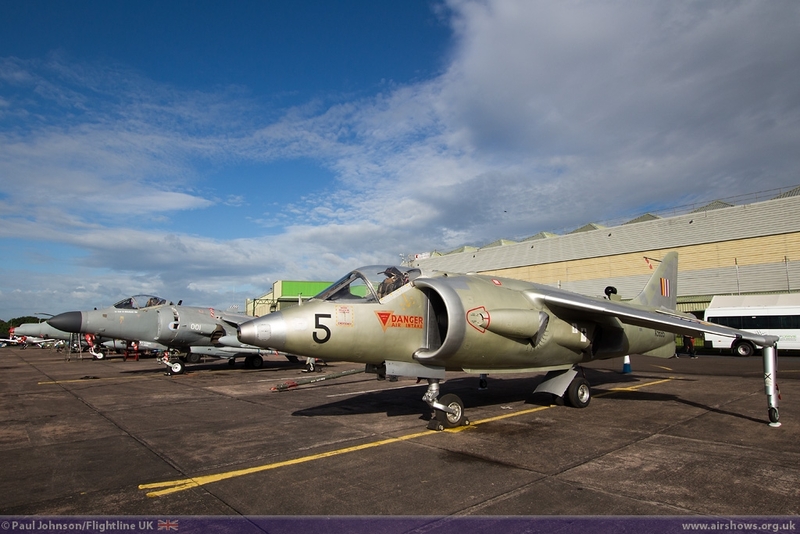 However most impressive of all was the line-up to celebrate the 50th Anniversary of the Hawker Kestrel FGA1. 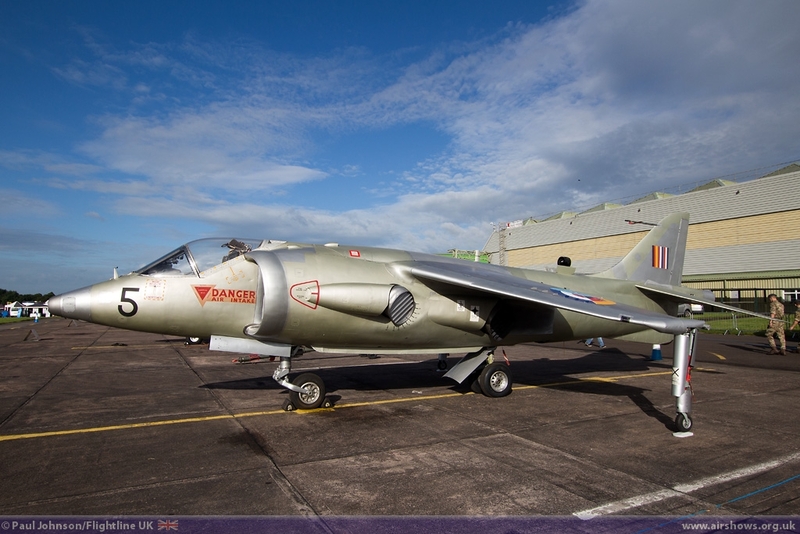 The RAF Museum at Cosford brought out its own example of the Kestel FGA1 which was joined by three different derivatives of the Harrier which resulted from the Kestrel programme. 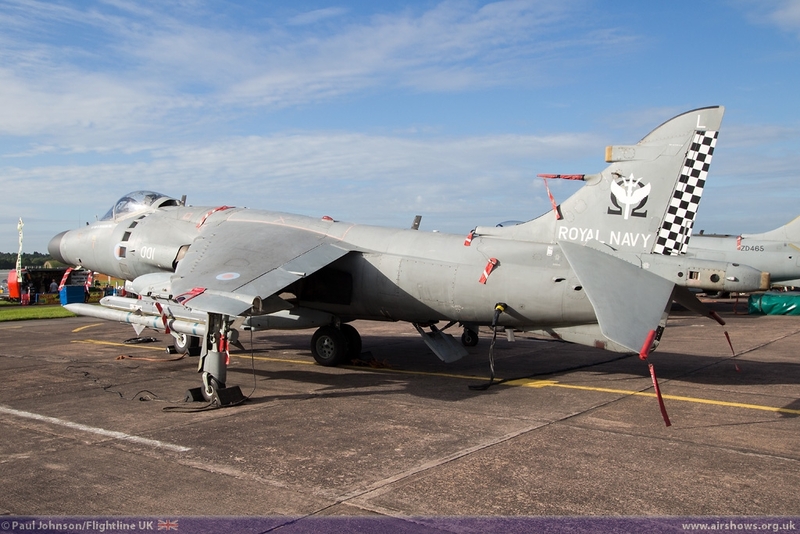 Representing the first generation harriers were examples of the Harrier GR3 and Sea Harrier FA2. 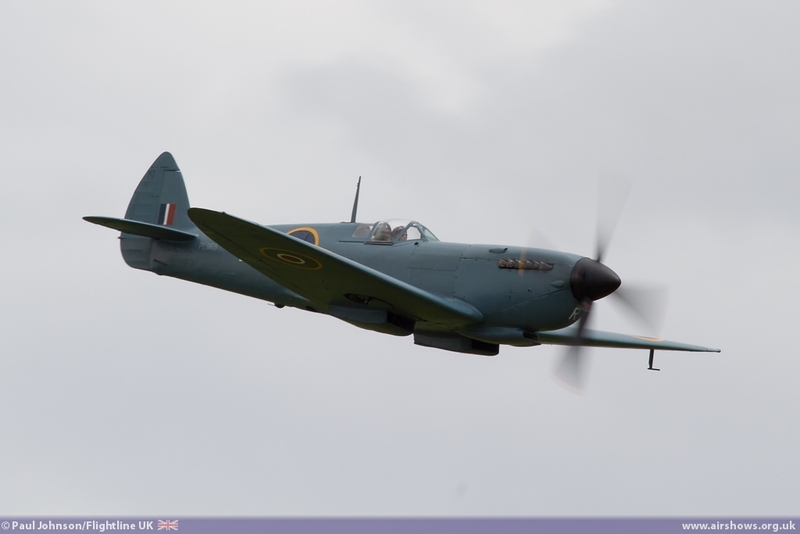 The later was specially brought in by road from RNAS Culdrose in Cornwall for the static display. 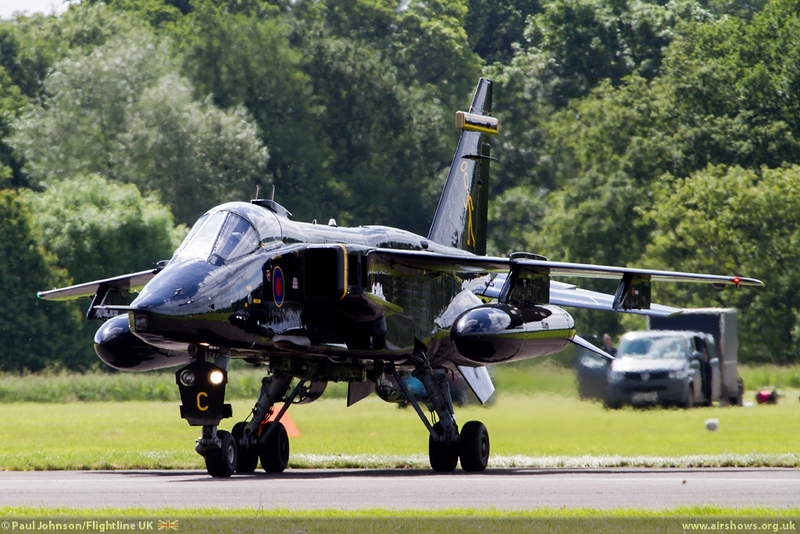 A later second generation Harrier GR9 completed the line-up. While it was great just to see the aircraft, the organisers had gone to the extra effort of equipping the aircraft with representative weapon loads - well done Cosford!! 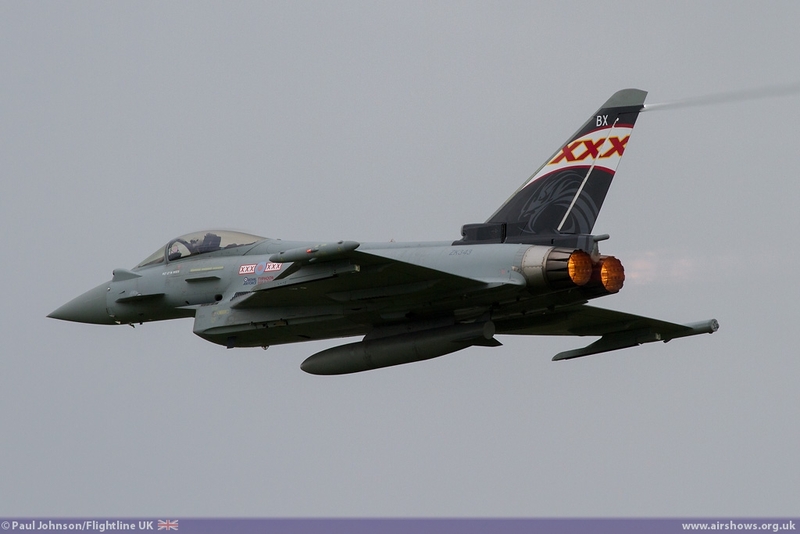 Cosford also went the extra mile with activities on the runway. 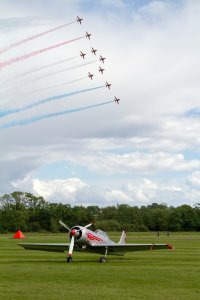 Prior to the traditional large radio-controlled model display, there was a demonstration of the ground handling training is part of Cosford's day-to-day role. 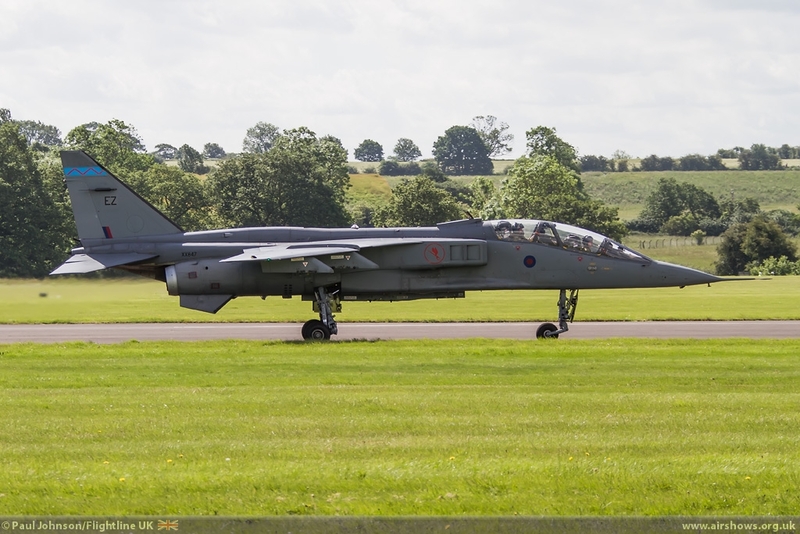 This saw a pair of the station's "active" SEPECAT Jaguar GR3 and T4s from 238 Squadron taxy up and down the runway under the direction of the ground handlers. 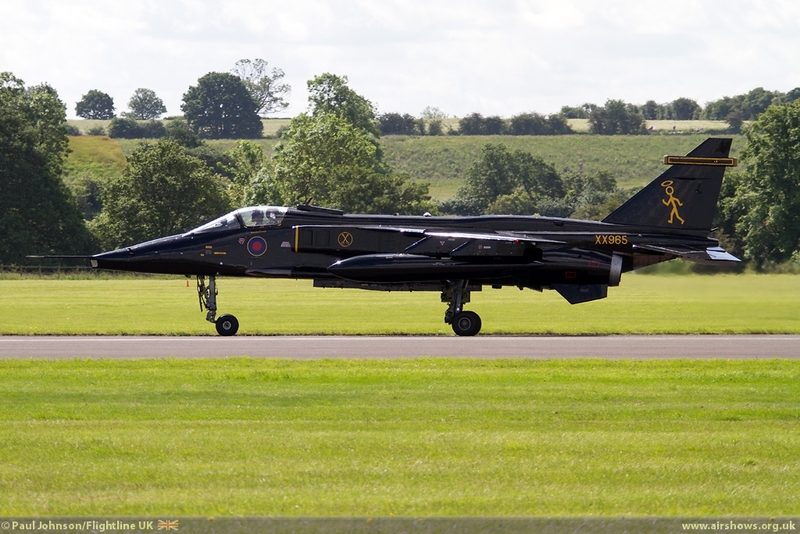 It is great to see 'live' Jaguars, particularly as one has been painted in the 16 Squadron "Saint" display colours from the 1993 and 1994 display season. 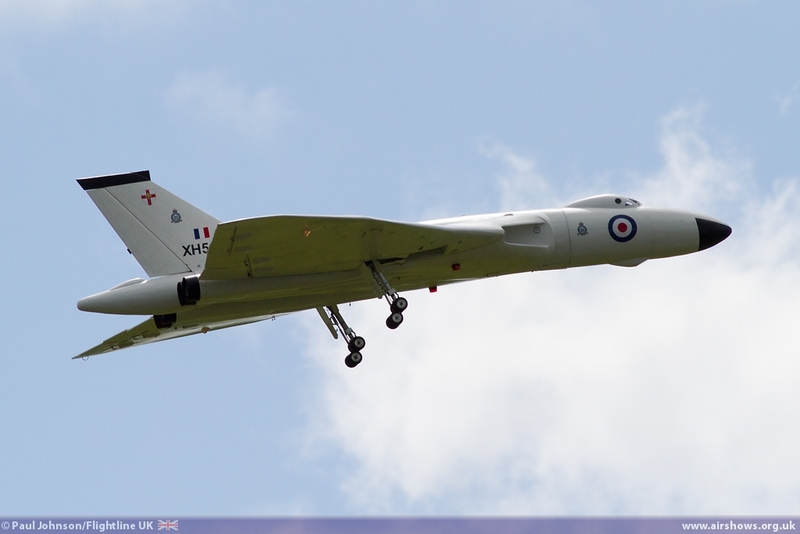 Of note from the Large Scale Radio Controlled Model section that entertains the crowds priot to the main flying display were exceptionally large models of the Avro Vulcan and VC-10 which were very life like. 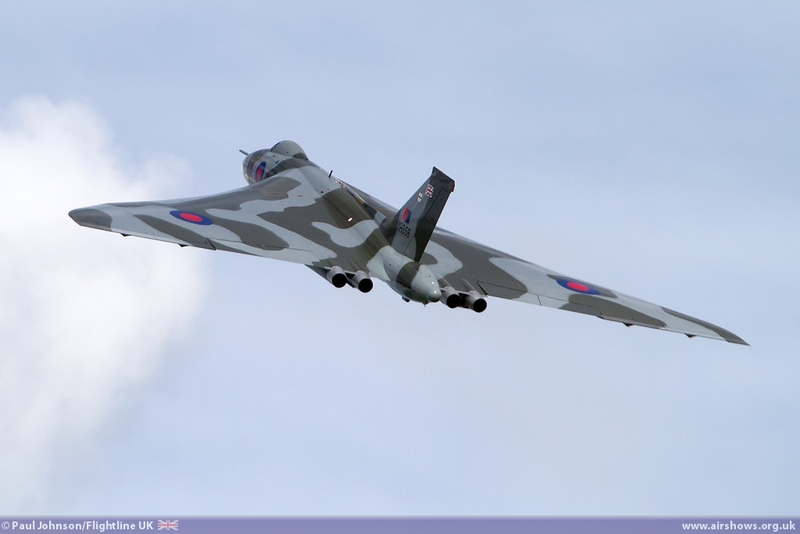 The Vulcan was truly a beast weighing in at 145kg - just 5kg below the maximum permitted weight for radio controlled model aircraft! 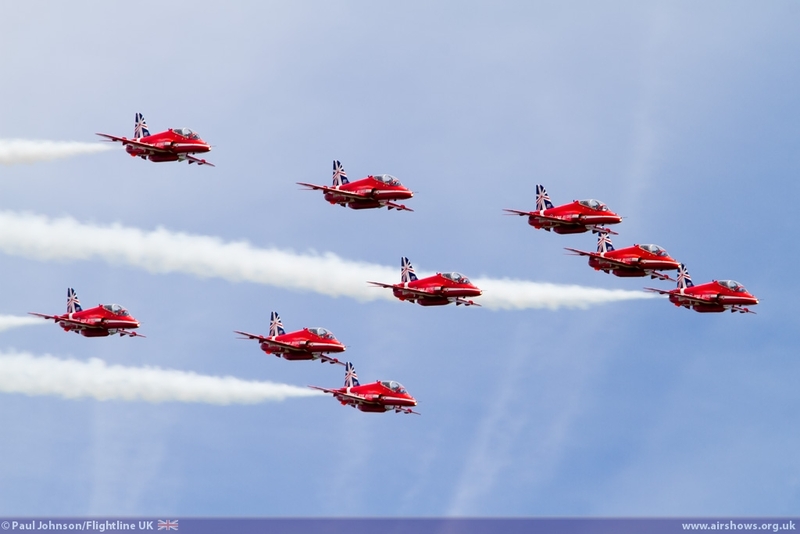 The modern day Royal Air Force naturally featured very well in the afternoon flying programme with all their main displays team participating. 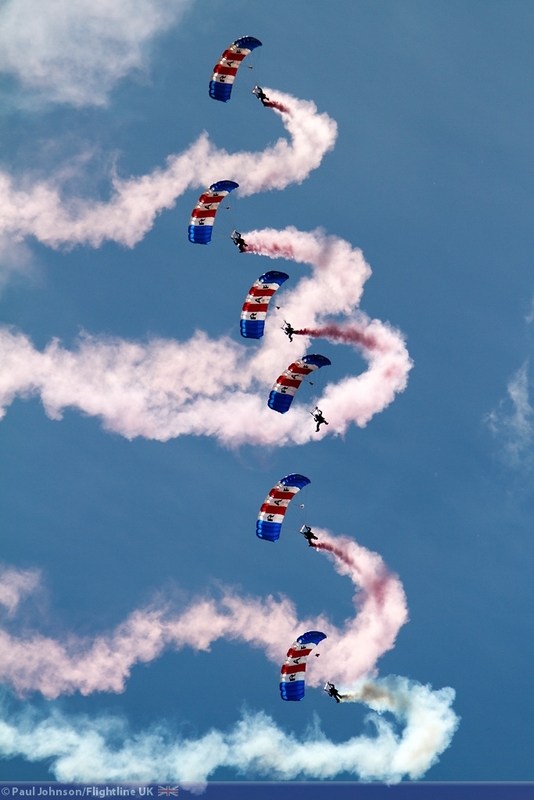 Opening the flying display was the RAF Falcons Parachute Display Team jumping from a Cessna Caravan. This year the team are supporting the Royal Air Forces Association with a special new canopy displaying the Wings Appeal Logo. 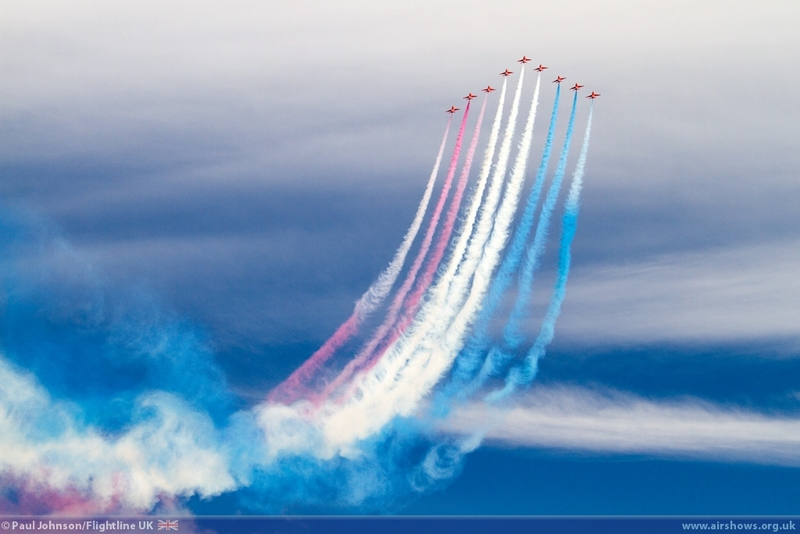 The high cloud base meant the Red Arrows were able to perform a full show over Cosford in their 50th Display Season. Cosford came at the end of a busy week for the team; their first in the UK since returning from their Spring training in Cyprus. The display contains all the usual favourites plus the addition of some old formations such as the Gypo Mirror and the Palm split. 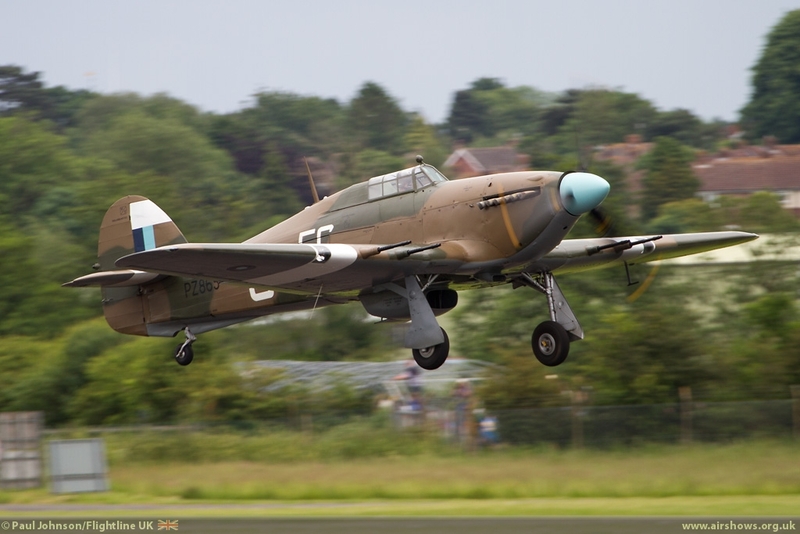 With the D-Day Commemorations just a few days before Cosford, it had also been a busy time for the Battle of Britain Memorial Flight who were at the show with a Spitfire PRXIX, Hurricane IIc and the Douglas Dakota. 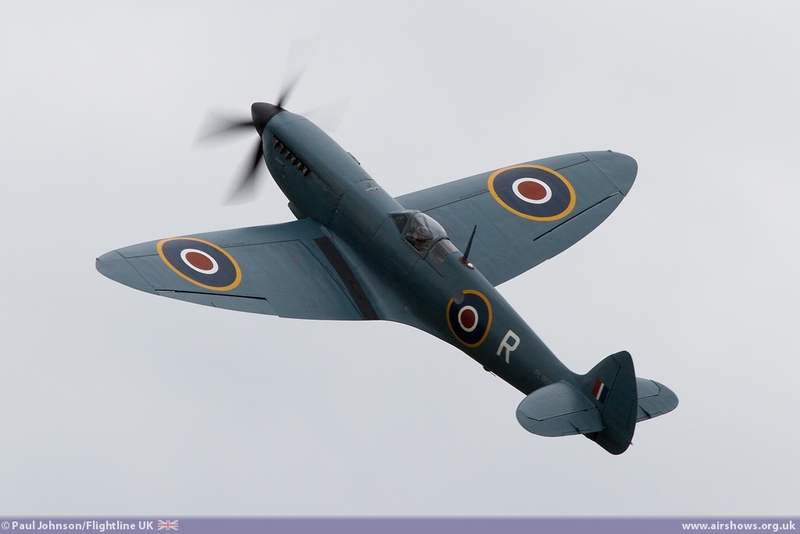 It was highly appropriate that the Spitfire PR XIX as included given the "PR" theme running through the show. 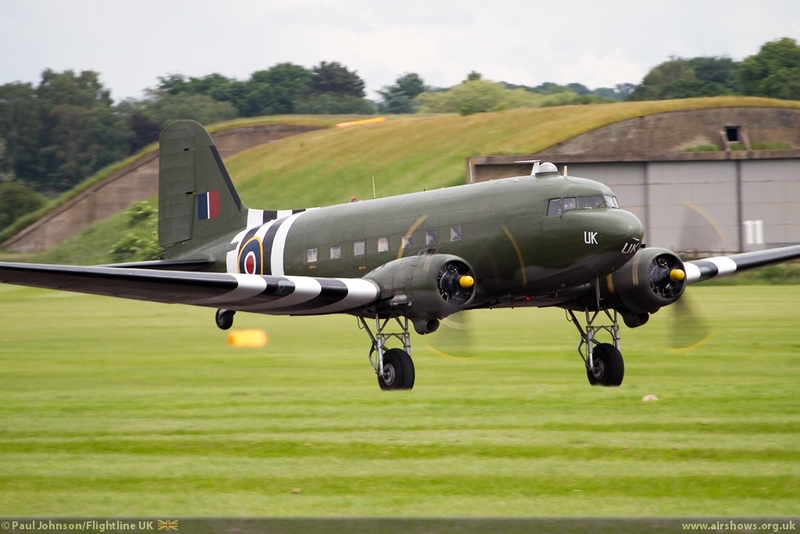 Following its display at Cosford, the Dakota was dispatched back to Northern France to pick up the Lancaster crew and a Spitfire pilot who were stuck in Caen with unserviceable aircraft! 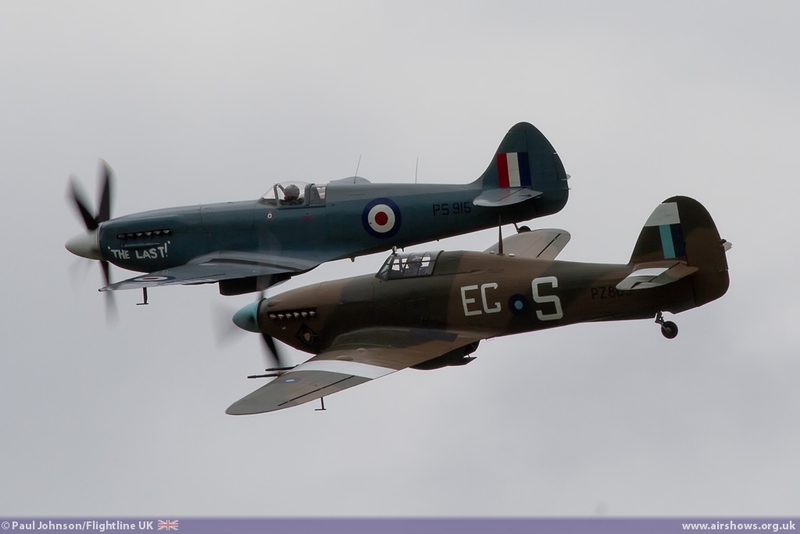 All three of the RAF's solo display aircraft also took part. 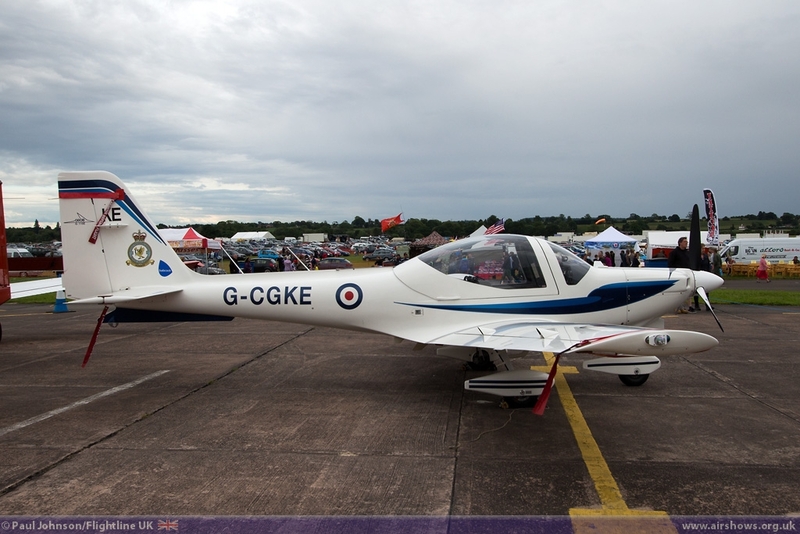 It was the first weekend of public displays for the new Grob Tutor T1 display flown by Flt Lt Andy Preece. 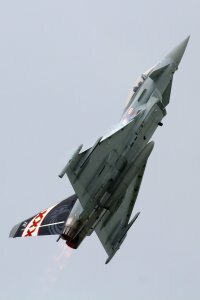 The aircraft sports a revised colour scheme for 2014 with Red and Light Blue Chevron's on the upper wing surface plus a shark's mouth on the engine cowling! 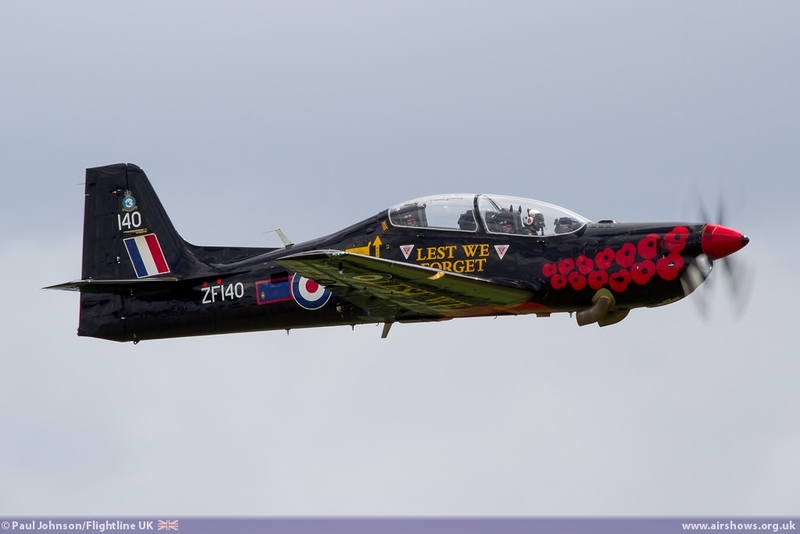 The Tutor was joined by the Tucano T1 flown by Flt Lt Dave Kirby and the Typhoon FGR4 flown by Flt Lt Noel Rees - the latter wearing the new 29[R] Squadron special display scheme on the tail and canards. 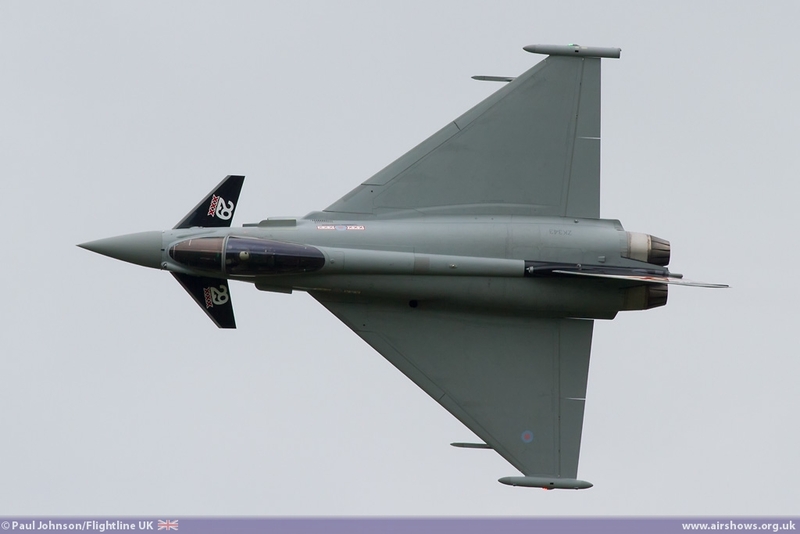 As well as the usual solo displays, the flying display also included some other RAF types. 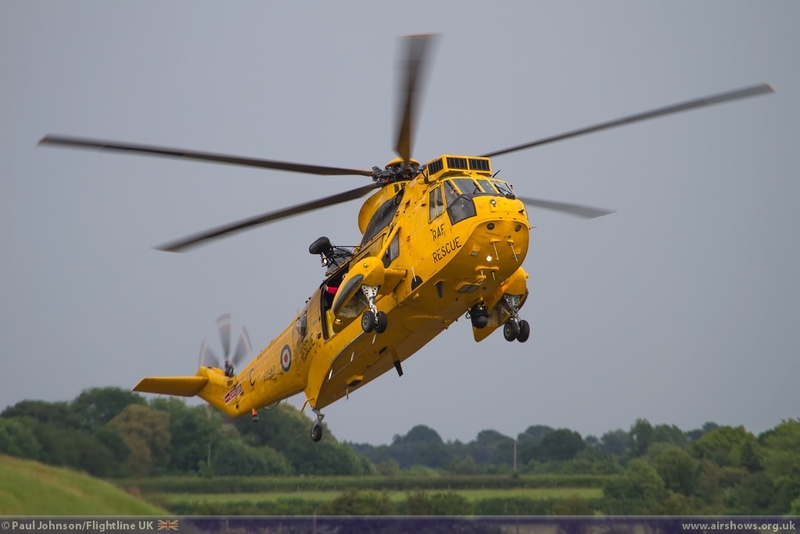 Making one of its last appearances at Cosford was a Westland Sea King HAR3A from RAF Valley. 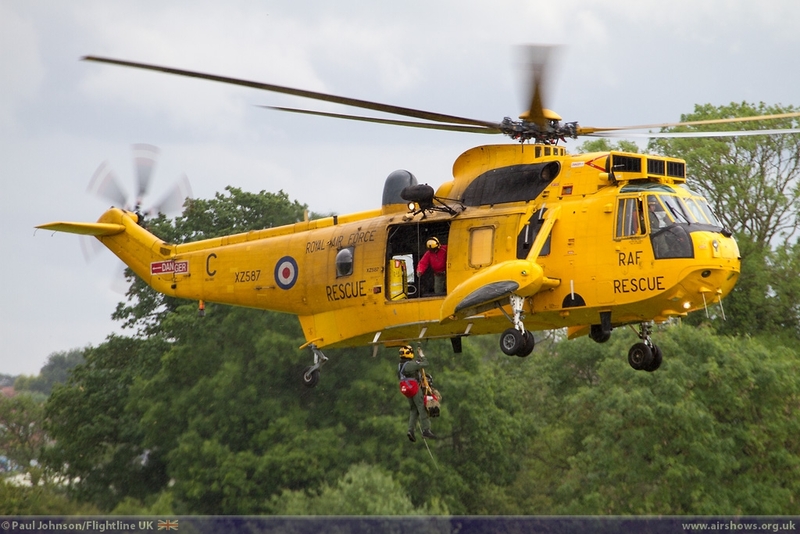 The big yellow helicopter gave a role demonstration of its Search and Rescue role over the runway. 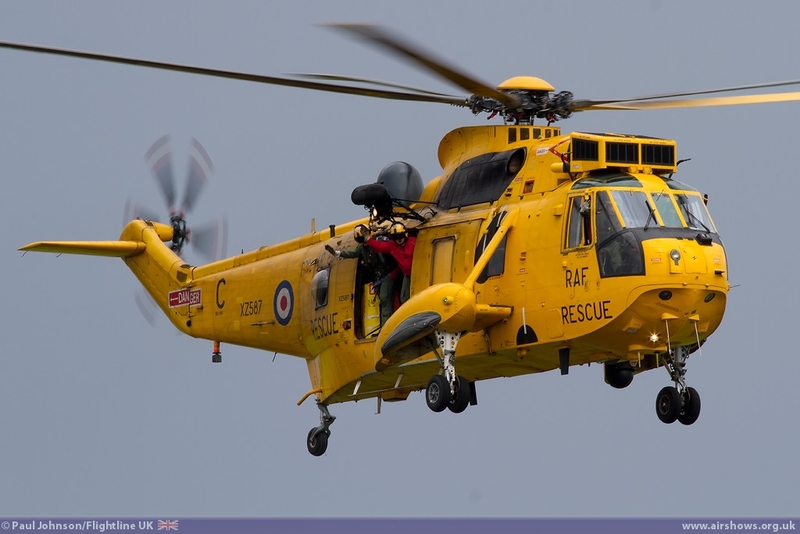 The type is due for retirement once the new civilian "SAR-H" scheme operated by Bristow Helicopters in up and running within the next three years. 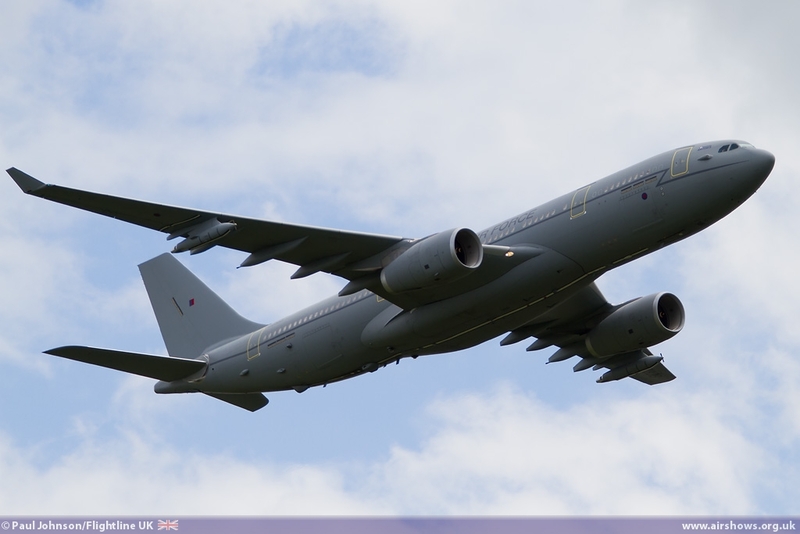 Making a solitary, but majestic flypast was the RAF's newest and biggest aircraft, the Airbus Military A330MRTT Voyager KC2 from RAF Brize Norton. 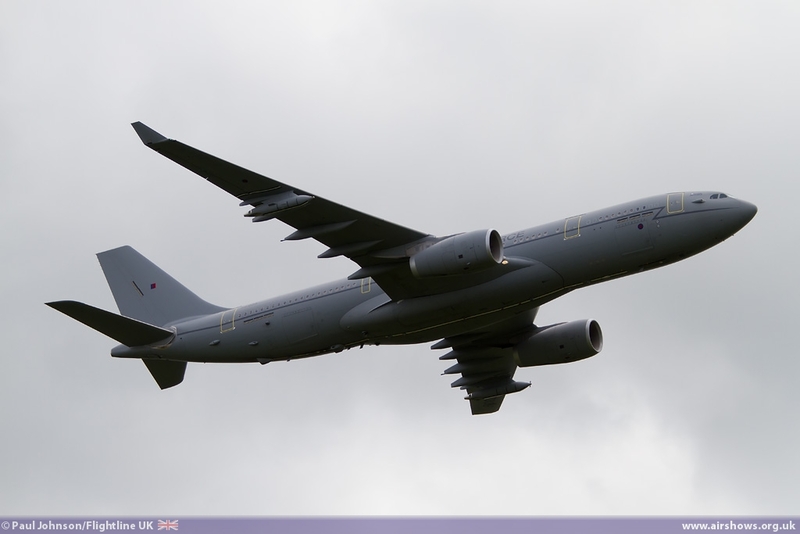 The Voyager has not been seen at many airshows since it entered service but has now taken on all RAF air-to-air refuelling since the retirement of the VC-10 and Tristar. 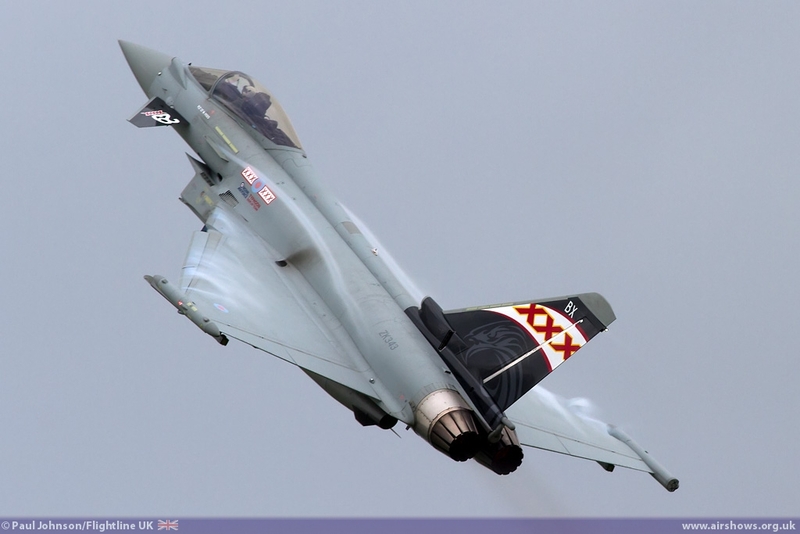 The appearance at Cosford came just a few days after the completion of deliveries of the RAF's core fleet of nine Voyagers. 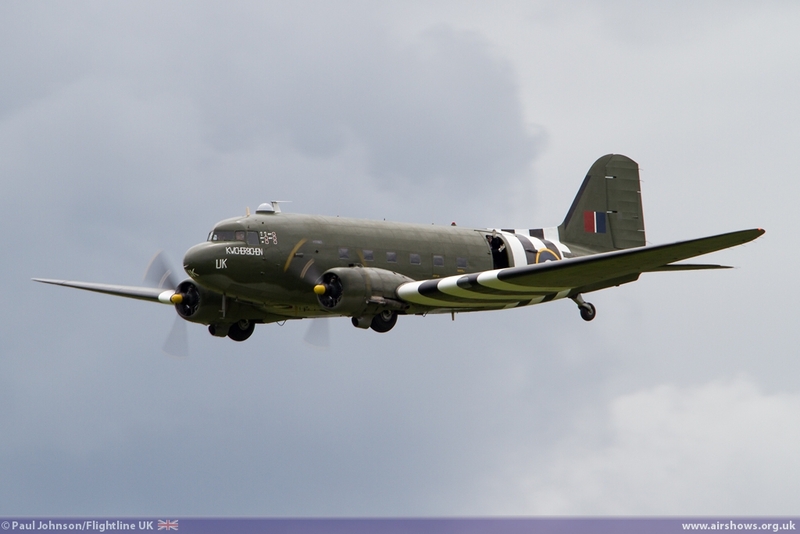 Five more are due to delivery but these will also be available for charter work by the operating company, Airtanker. 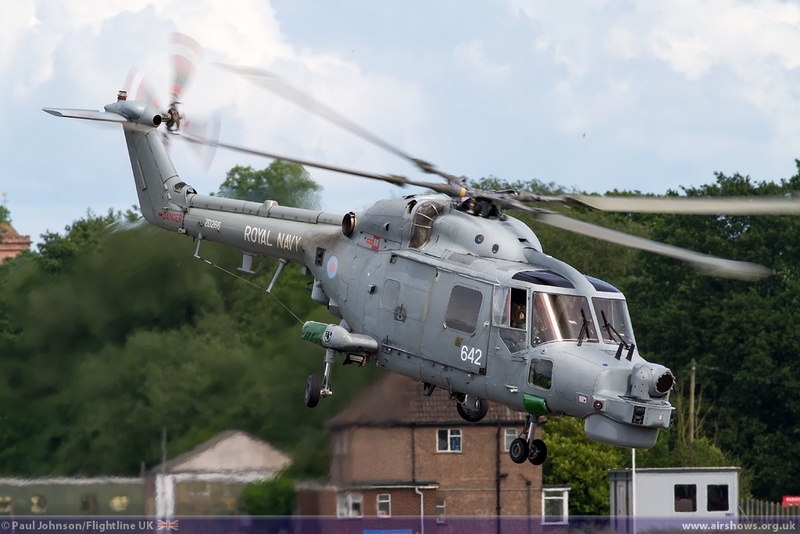 The Royal Navy and Army Air Corps also took part in the flying with solo helicopters. 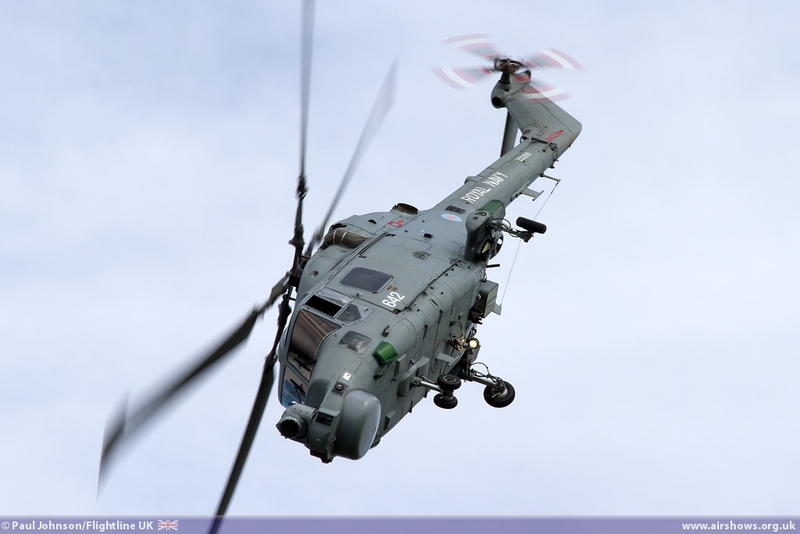 The Royal Navy had the solo Westland Lynx HMA8 from the Black Cats Helicopter Display Team on show highlighting the airborne and ship-borne agility of the type. 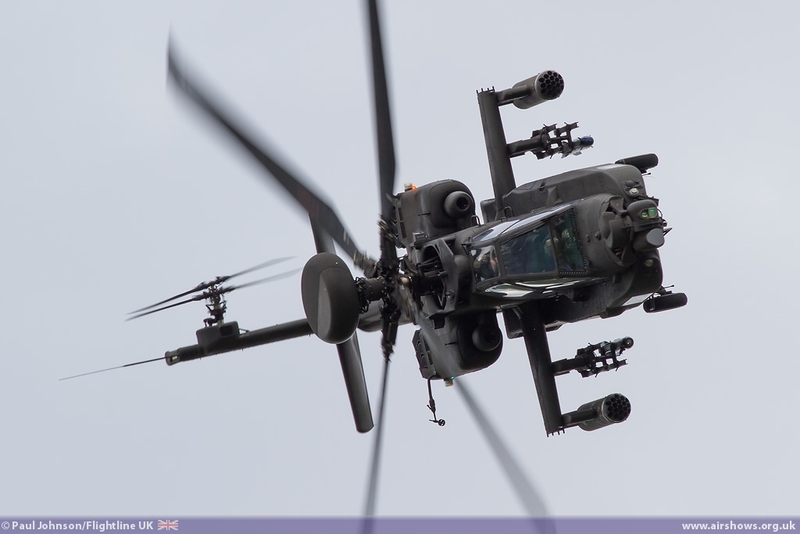 Cosford marked the first appearance of the Army's WAH-64D Apache AH1 solo display complete with pyrotechnic support. 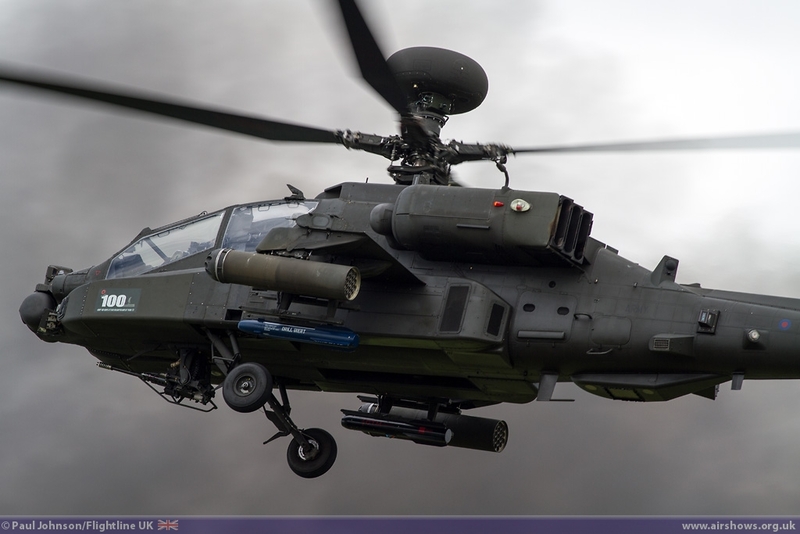 The pyros were used to highlight many of the Apache's capabilities including Hellfire missiles, strafing with the cannon and most spectacular of all, a release of rockets! 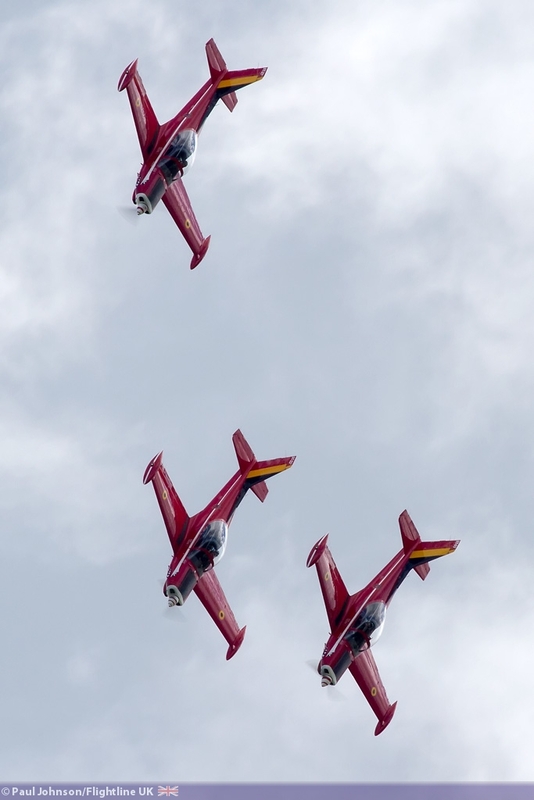 Foreign military participation was limited this year, but it was very good to see the Belgian Air Force's Red Devils display team. 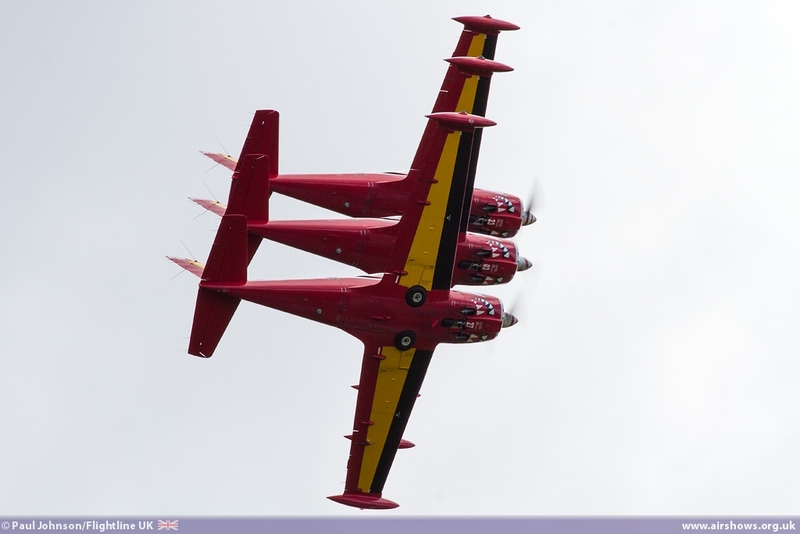 The team fly the pretty SIAI-Marchetti SF260 trainers wearing a special overall red colour scheme. 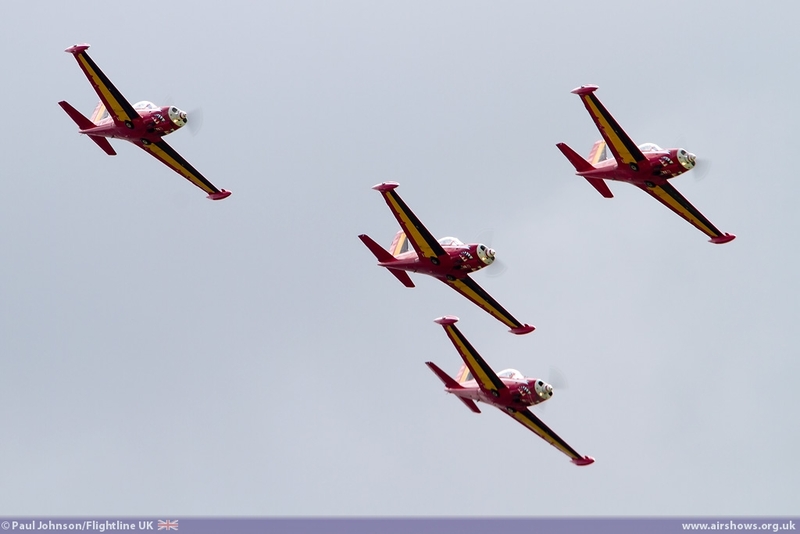 The team perform lovely display of sweeping formation and dynamic solo and synchronised aerobatics and were certainly well received by the large crowd. 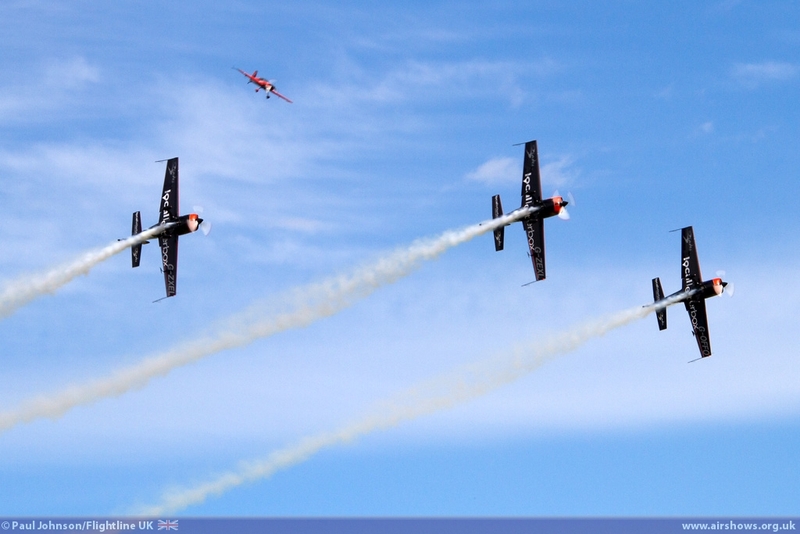 More formation aerobatics came from the civilian teams. 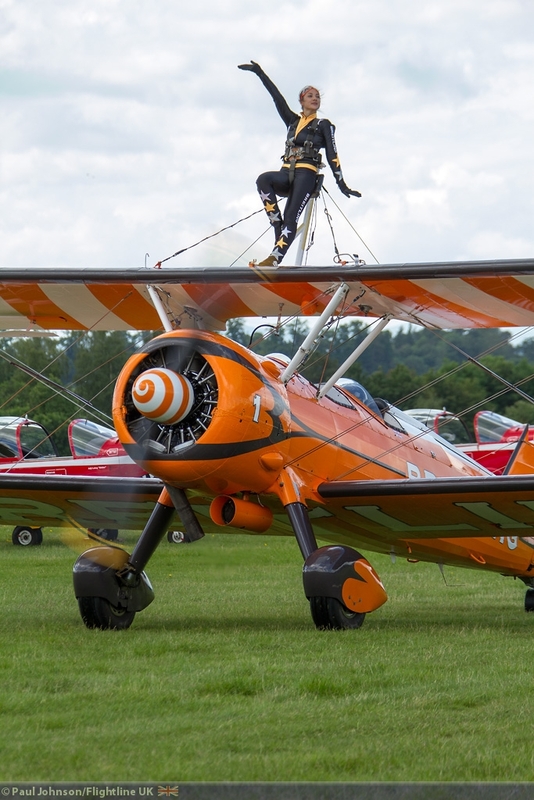 Appearing early on in the flying display were the Breitling Wingwalkers, Steve Hicks and Al Hoy were piloting the Boeing Stearman biplanes with Freya Paterson and Nikita Salmon on the wing. 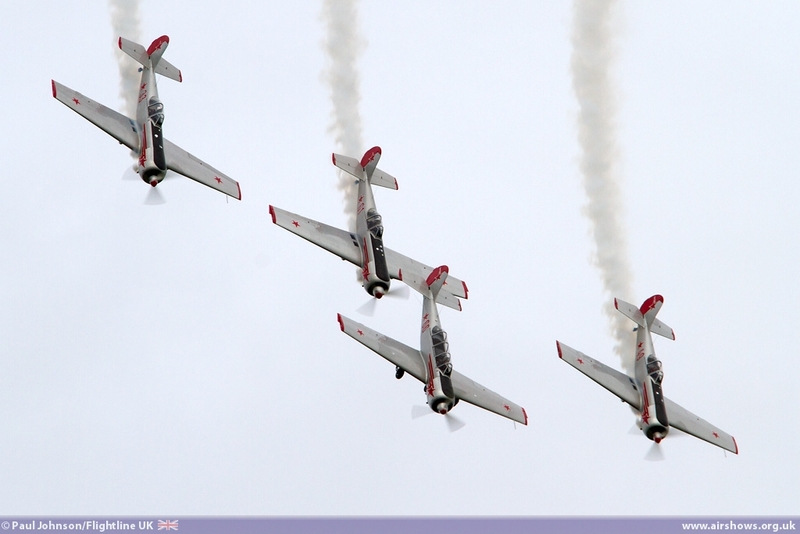 The Blades are Cosford regulars, but have a brand new display sequence for 2014 which include a few new figures. 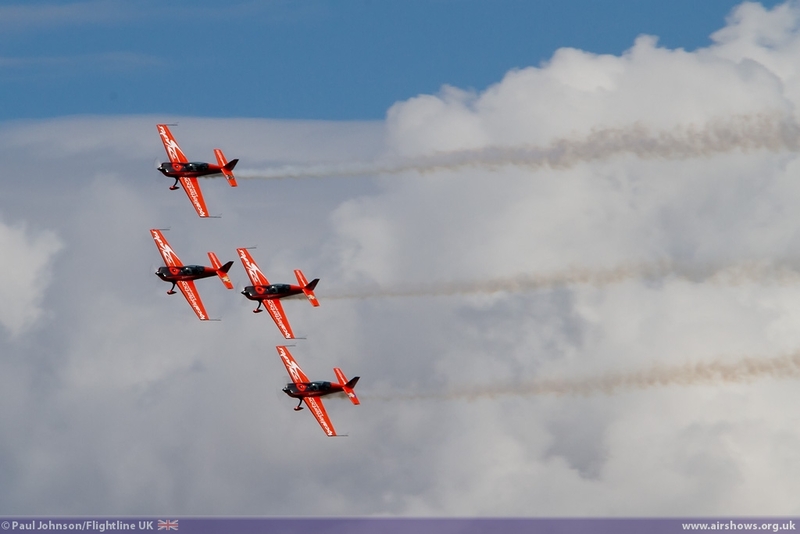 The Blades are all ex-RAF and Red Arrows pilots making them a highly appropriate addition to any RAF airshow. 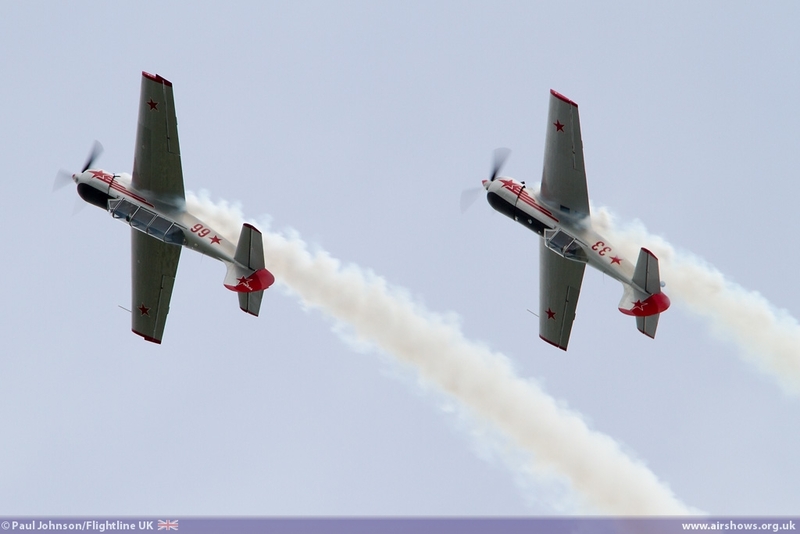 Another four-ship routine came from the Yakovlevs making a welcome return to Cosford with the Super Yak-52 and three Yak-50s to close the flying display. 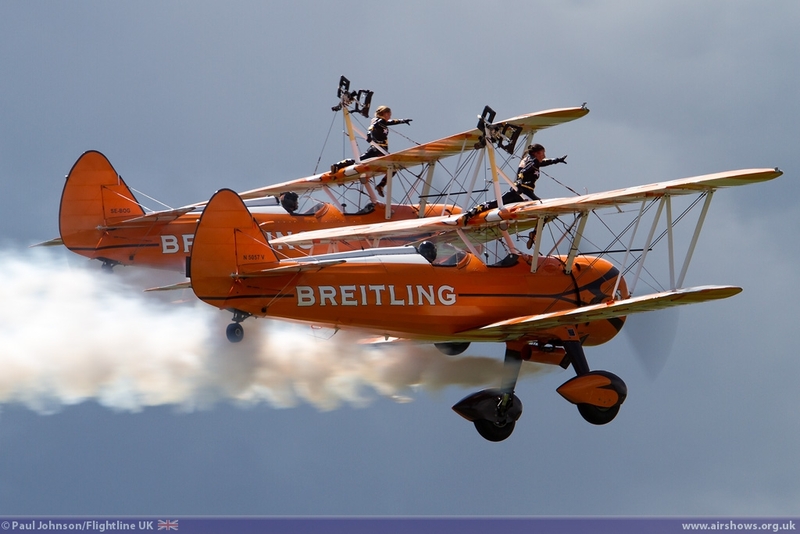 Their aircraft always looks stunning and their balletic performance was a brilliant way to close the flying. 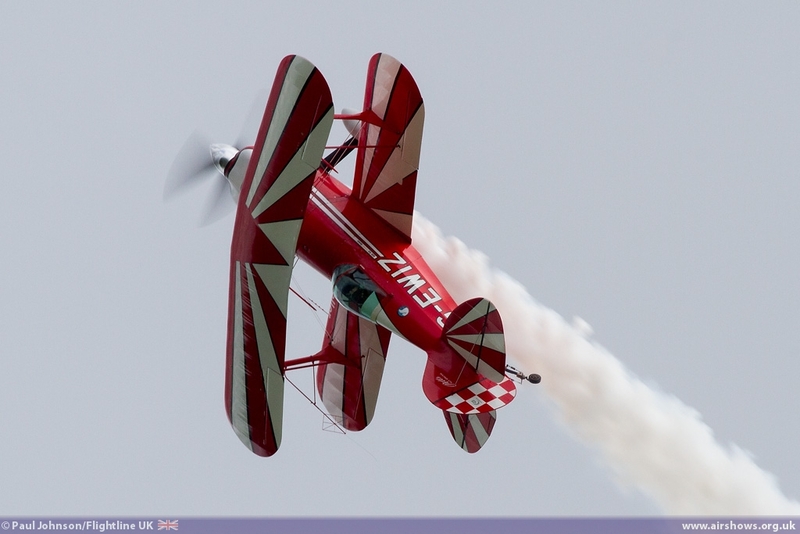 Some incredible solo aerobatics came from Richard Goodwin flying his remarkable Pitts S-2S Special. 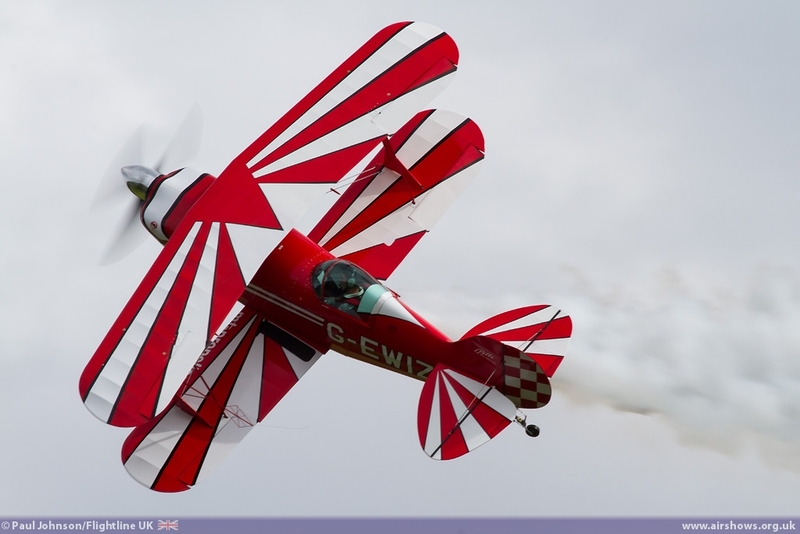 The aircraft has been extensively modified with lighter parts and a very powerful engine which certainly means the aircraft lives up to its name of the "Muscle Biplane." 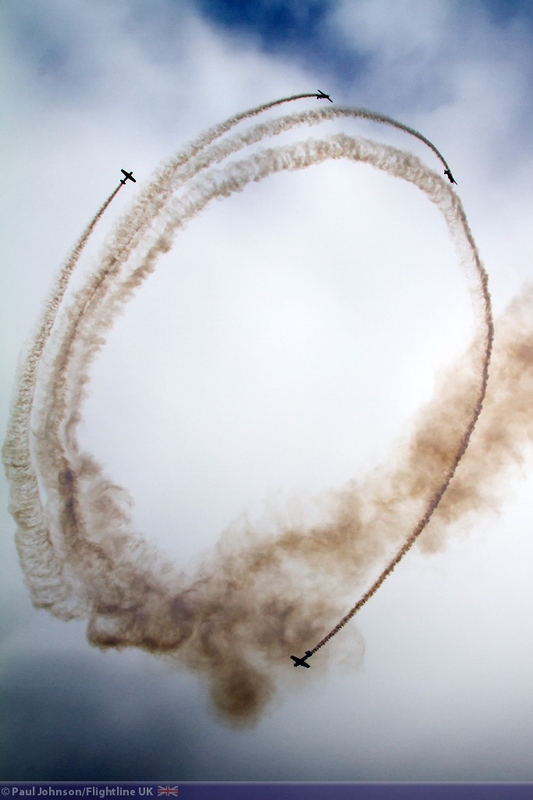 The energetic routine of freestyle aerobatics certainly caught the crowd's attention and earned a well-deserved round of applause. 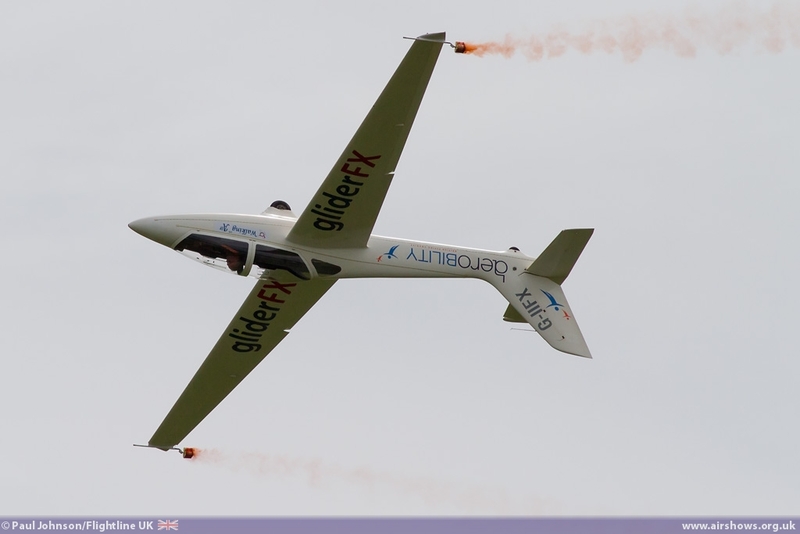 Aerobatics of a different kind came from the GliderFX team with their MDM-1 Fox Glider. 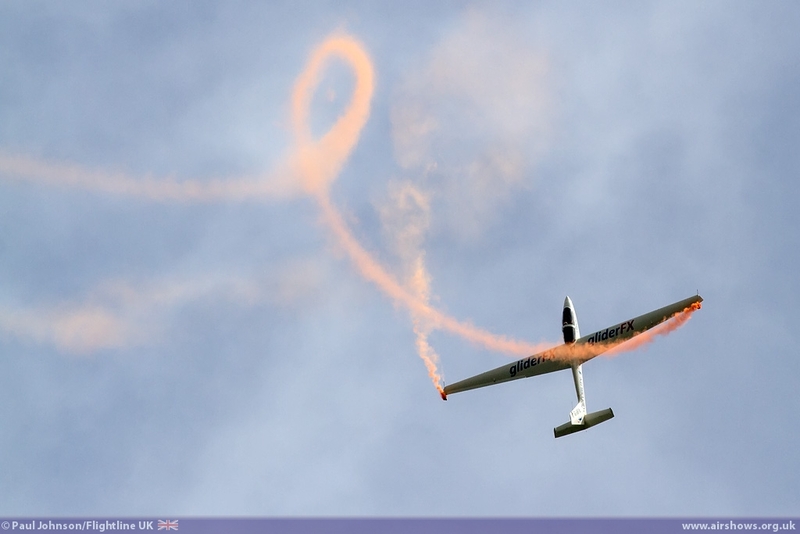 The Fox was flown through a beautiful sequence of aerobatics by Ian Gallacher who not only works at RAF Cosford delivering Human Factors training, but is also Chief Flying Instructor of the Wrekin Gliding Club which is based at the airfield. 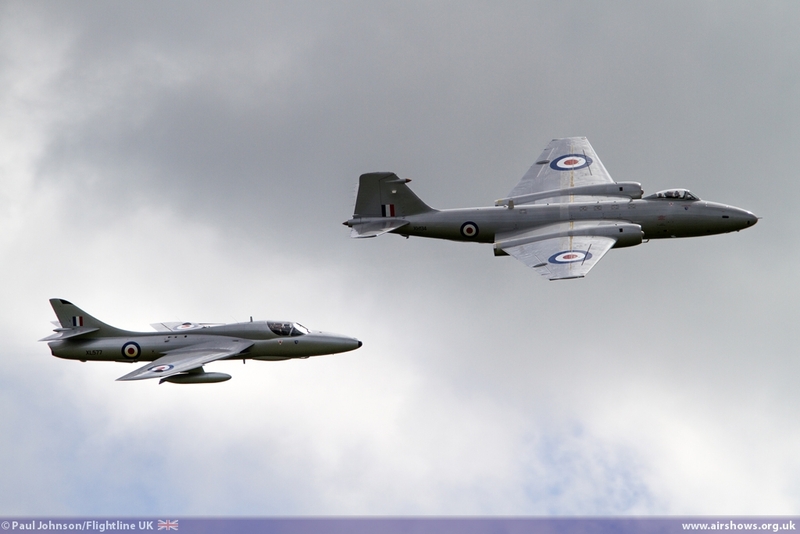 Cosford also had a wide range of historic types in the display. 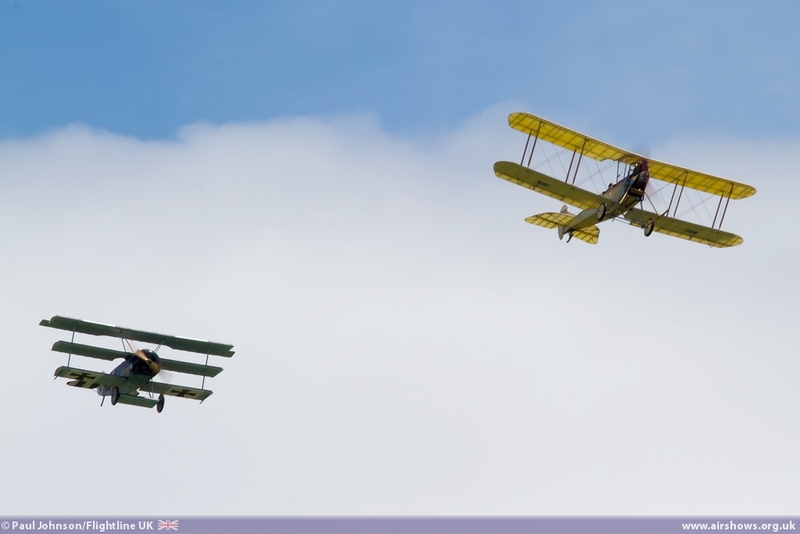 The 100th Anniversary of the First World War was marked by the Great War Display Team flying nine of their replica aircraft. 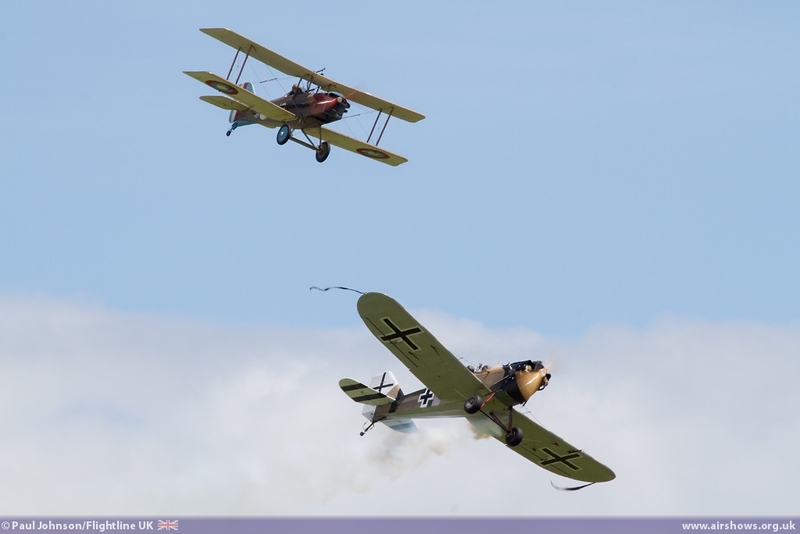 The RAF BE2c, Sopwith Triplane and three RAF SE5a wheeled around the sky with pairs of Junkers CL1s and Fokker Triplanes recreating the battles over Europe between 1914-1918 which fills the sky and captivates the audience. 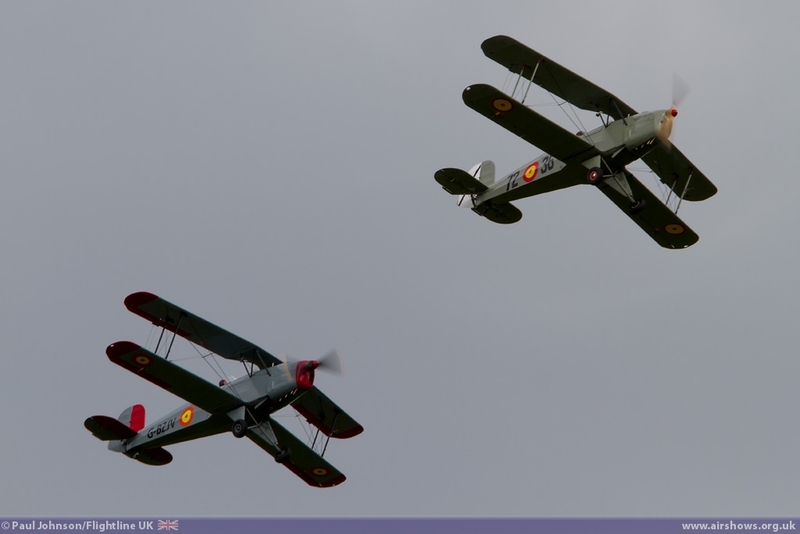 The Old Buckers presented a gentle routine showcasing their CASA-built Bucker Jungmann training biplanes with some close formation passes and aerobatics. 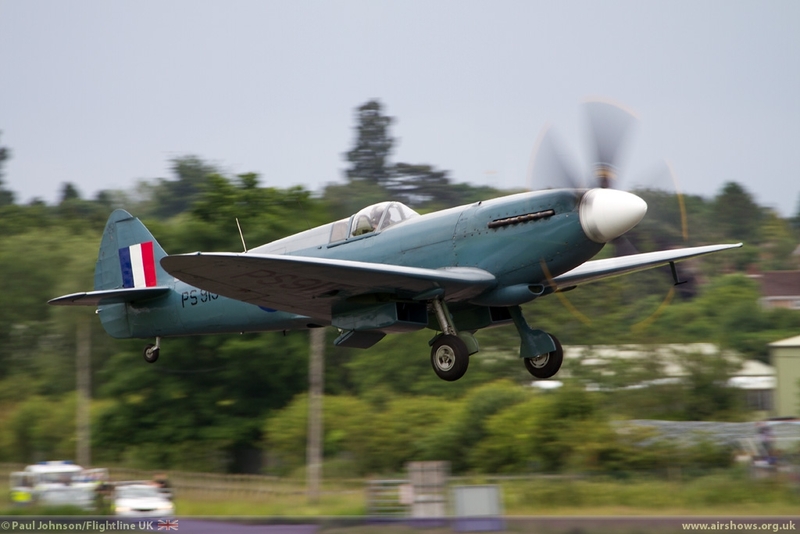 Moving up the power scale, the Photo-Reconnaissance theme saw Peter Teichman return to Cosford with his Spitfire PRXI. 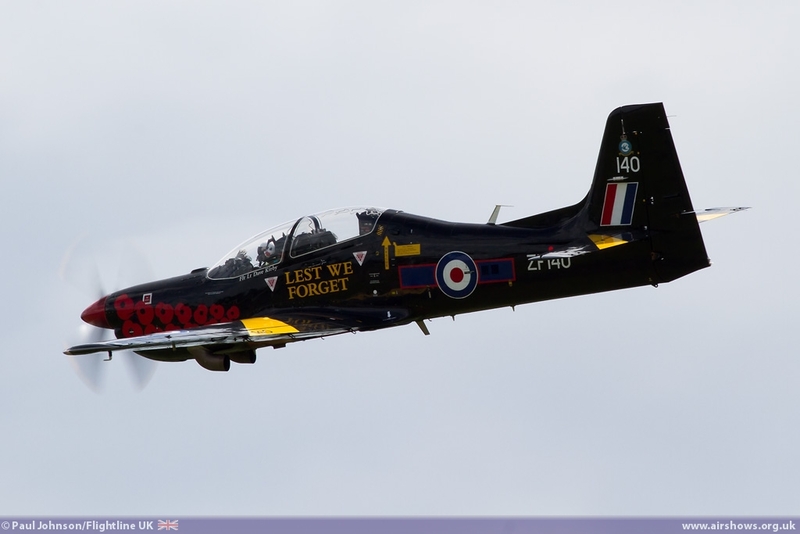 Apart from the 'PR' theme, this aircraft is a very apt addition to a Cosford flying display as it was once based at the airfield when part of a maintenance unit. 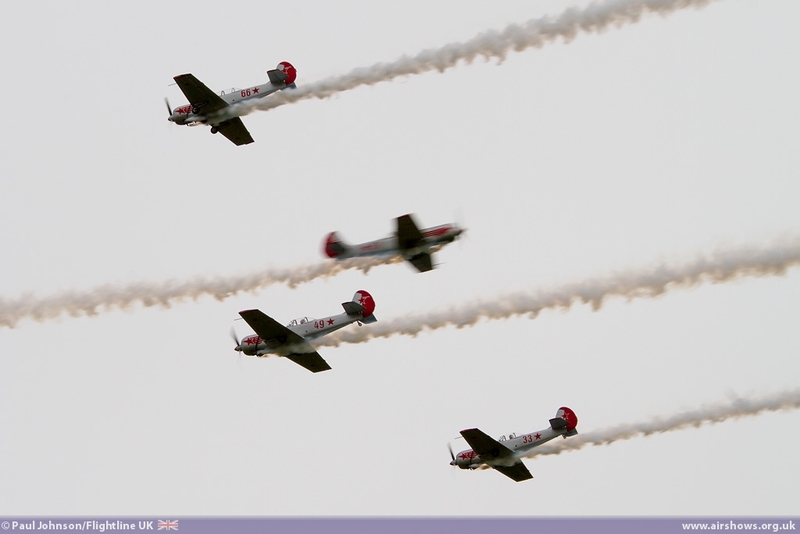 However, it was the line-up of classic jets that really stole the show. 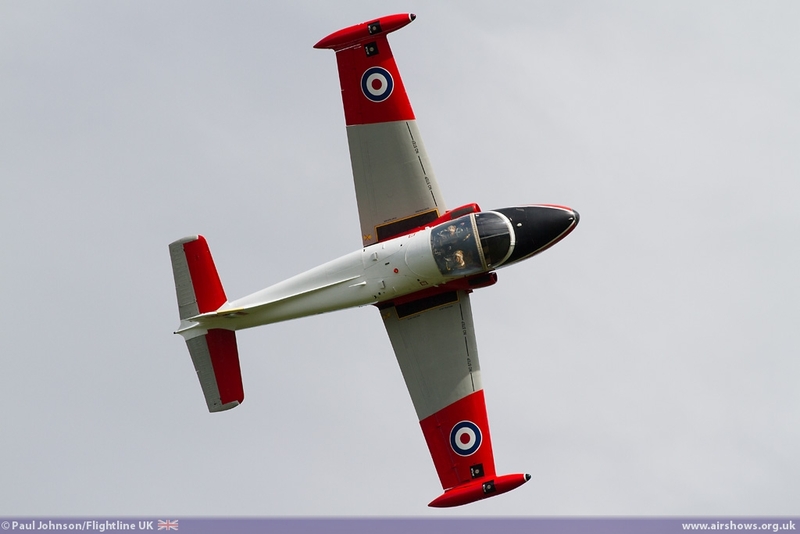 The Jet Provost has been a familiar sight at Cosford for many years as before the Jaguars, they were extensively used by the various training units for engineering and ground handling training. 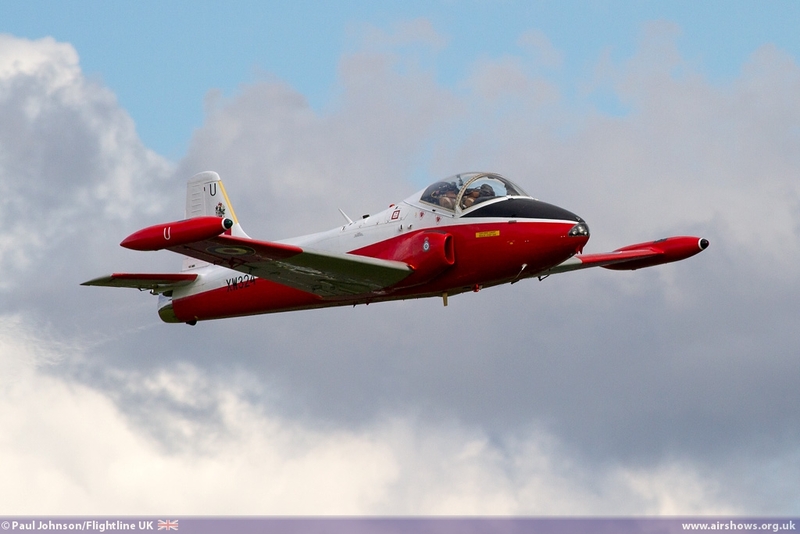 Andy Hill displayed Jeff Bell's immaculate Jet Provost T5 in the flying display to show the classic basic jet training off in the air. 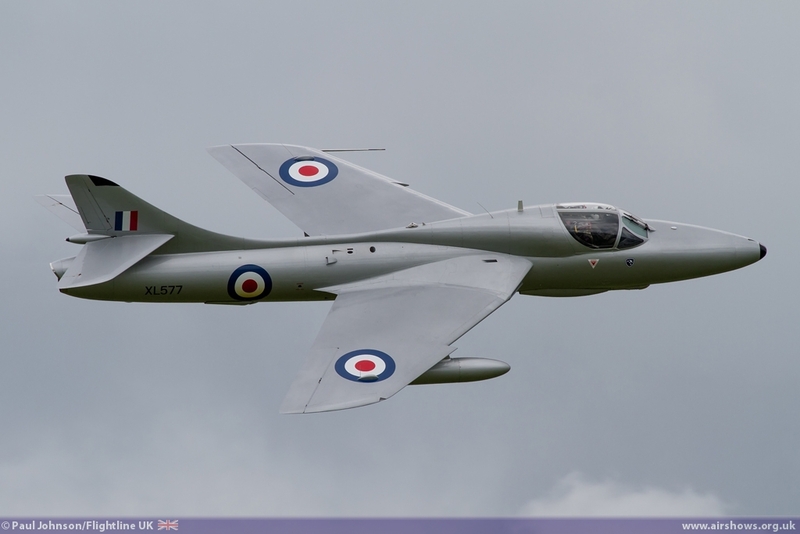 John Dodd displayed the Classic Air Force's de Havilland Venom FB50. 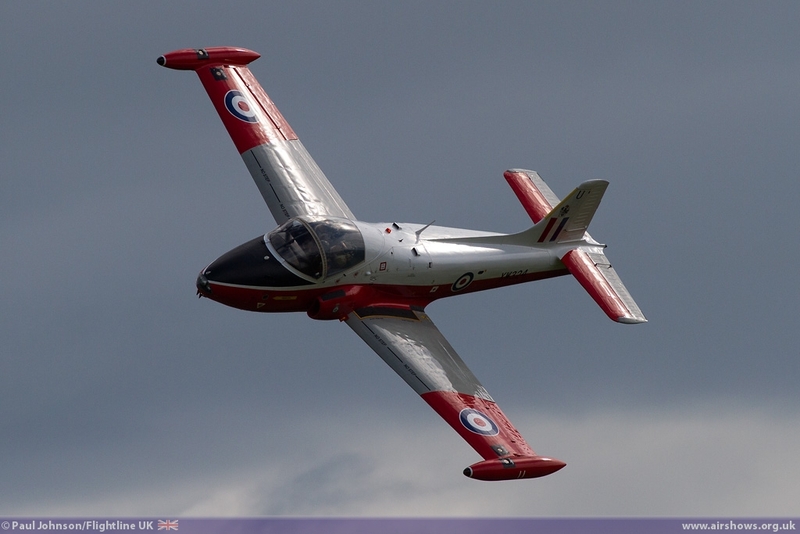 Apart from being a relatively rare airshow performer, John's fast paced display was certainly one of the highlights of the displays showing off the aircrafts distinctive lines. 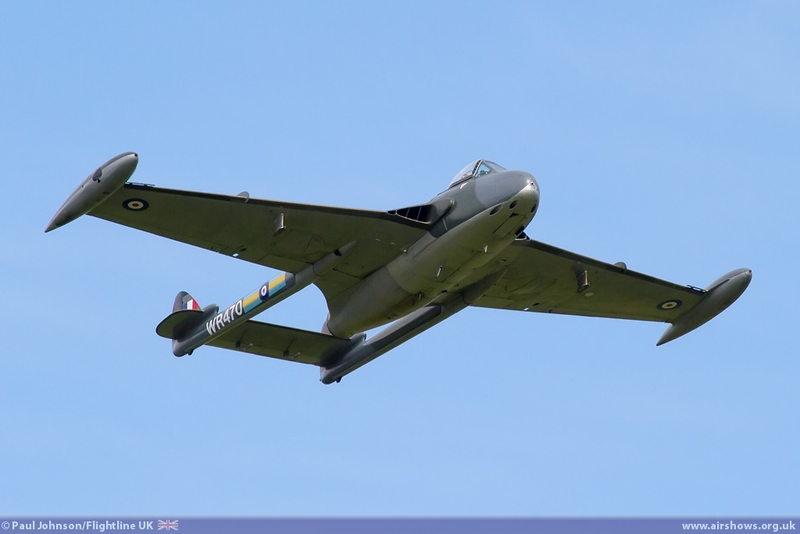 The Midair Squadron were also in attendance giving one of their first combined displays of the Hawker Hunter T7 and BAC Canberra PR9. 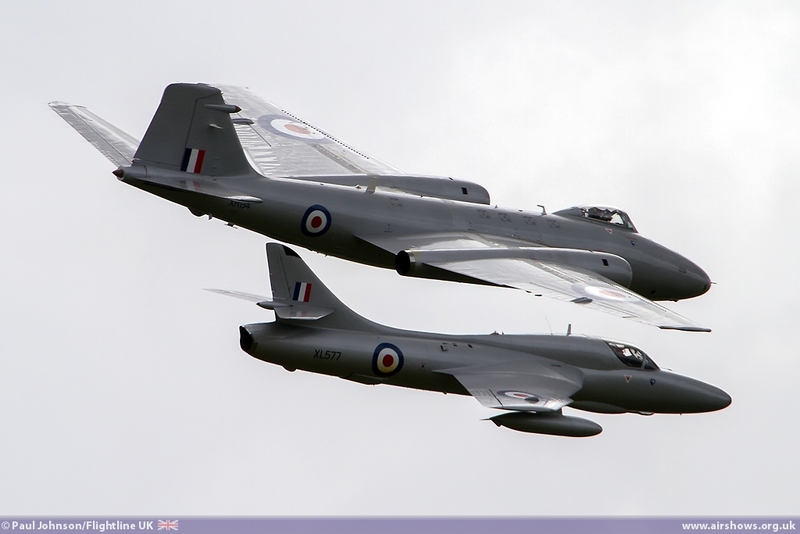 Painted in the classic overall silver of the 1950's, these two aircraft look stunning and both Chris Heames and David Piper put on a great display showing off the grace, performance and unique engine notes to the crowd with great aplomb. 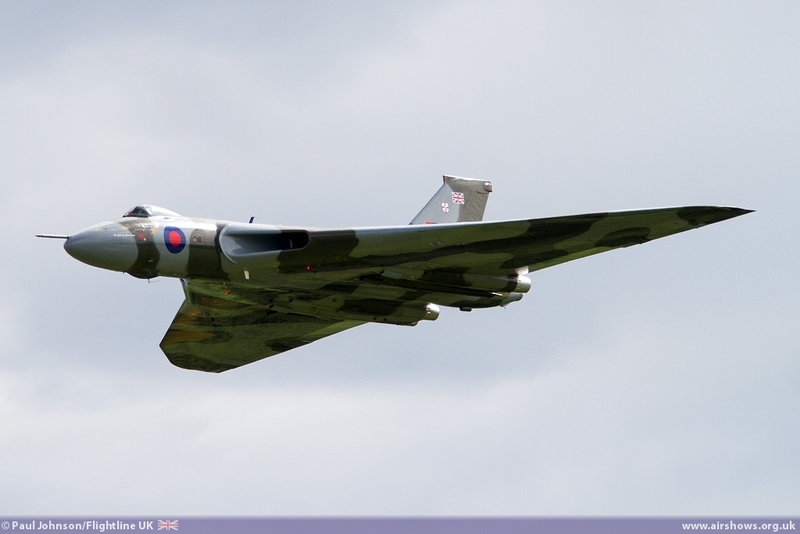 The Cosford weekend also saw the first public outings for 2014 of the Avro Vulcan B2 XH558. 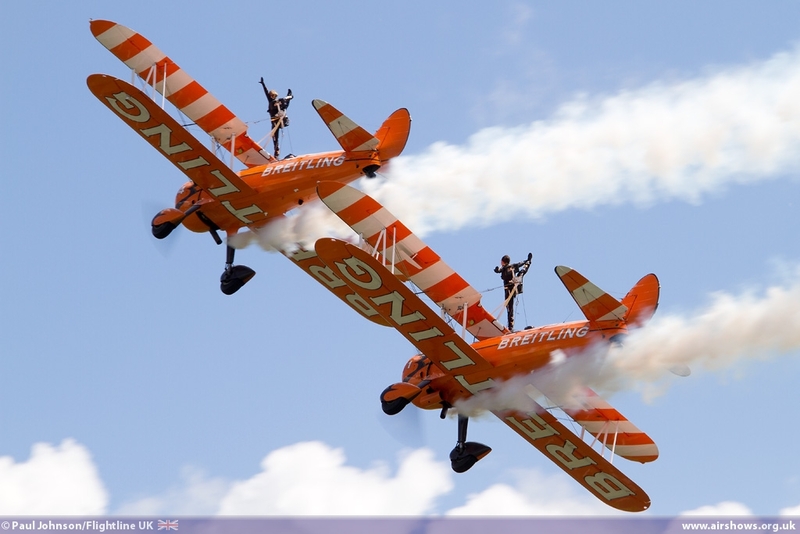 Pilots Kev Rumens and Bill Ramsey put the mighty delta winged bomber through a brand new routine which is certainly much more dynamic than that seen last year and creates more noise! 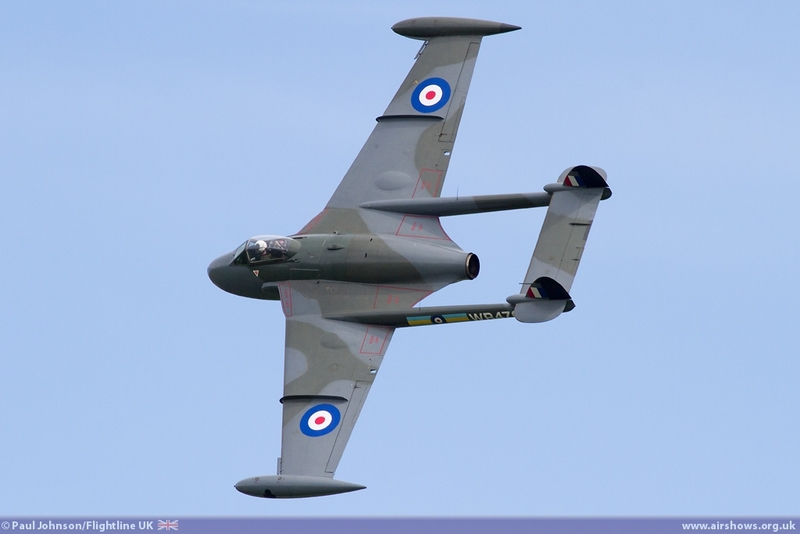 The winter has seen a major modification undertaken on the aircraft wings which will hopefully see the aircraft through to the end of the 2015 display season. 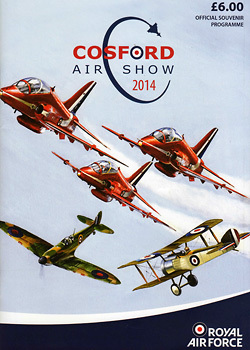 The relatively kind early summer weather certainly helped RAF Cosford Air Show 2014 bring in another massive. 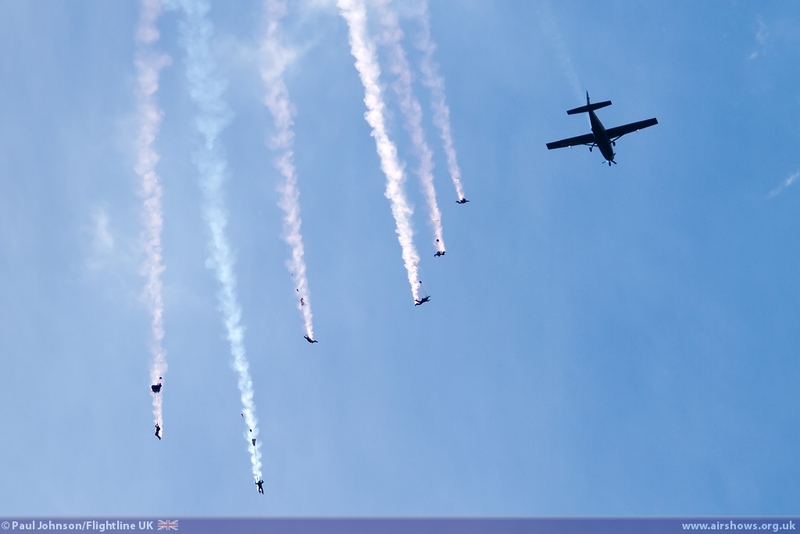 The organising team put together some well thought out displays on the ground and some very varied and enjoyable flying displays showing off the Royal Air Force and the work of RAF Cosford. 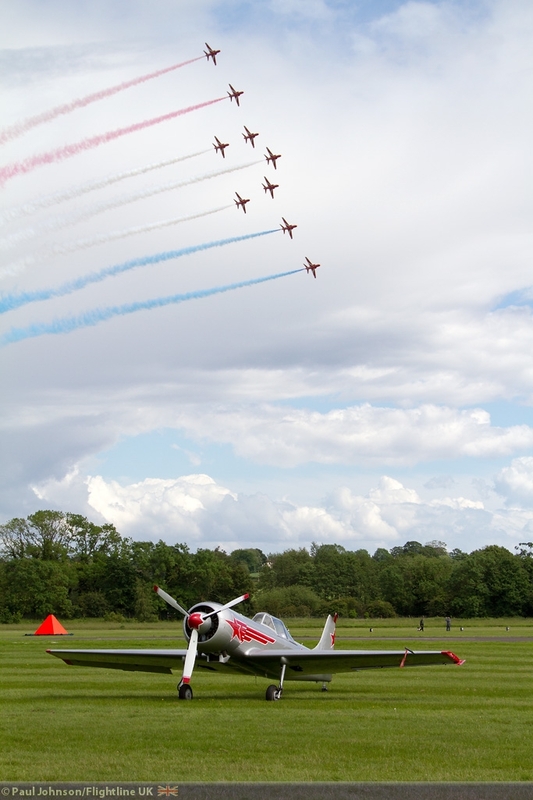 Cosford Air Show returns on the 14th June 2015 and we look forward to being back in Shropshire.